Los beneficiados con las Becas de la ISA son individuos inspiradores, quienes buscan ser exitosos en el surfing como en su educación. Estos Embajadores de la ISA son seleccionados con base a su dedicación de representar a su Nación como un estudiante y surfista excepcional en sus comunidades. Los Embajadores de la ISA se caracterizan por dar una influencia positiva a sus compañeros como jóvenes dedicados tanto en el deporte del surfing como en la escuela. ¡Felicitaciones a los Embajadores de la ISA, ganadores de la Beca Individual de la ISA! Cesar Piña has only been surfing for three years but is already a force to be reckoned with in the adaptive surf scene. He attended the 2017 ISA World Adaptive Surfing Championships and hopes to compete again for Team Chile in 2018. Cesar fell in love with surfing the first time in the water and still feels the rush he felt that day. The fact that Pichilemu, the closest beach to his hometown of Rengo, is over ninety miles away, hasn’t stopped Cesar. With the support of his family, he has been able to continue his surfing career while pursuing his education. He plans to study psychology and someday link that back to what he loves to do most, surf. This ISA Scholarship will help Cesar get a brand-new board and wetsuit. At twelve years old, Freddy already has two ISA World Adaptive Championships on his resume. He and his coach are always looking for new strategies to help him get the best result in each events he participates in. Not only is he a world class surfer, but he also enjoys to swim and skateboard. In last year's competition, he earned the Bronze medal and the ISA Scholarship will help Freddy attend the 2018 ISA World Adaptive Championships where he dreams of capturing the Gold. Marcelo is a member of the Wiwa indigenous community in the northern mountains of Colombia. Originally introduced to the sport by his brother, a former ISA Scholarship recipient, Marcelo has now been surfing for five years. He hopes to one day become a pro surfer and he is well on his way to accomplishing that goal. His time and dedication spent surfing in Los Naranjos has paid off. He is now ranked first in the u16 category of Colombia and will be competing at the 2018 VISSLA ISA World Junior Surfing Championship. Marcelo wants to learn English, and his ISA Scholarship will help him achieve that goal. It will also help him with school supplies and a new surfboard. At fourteen years old, Johan Diaz is already making a name for himself in his local surfing community of Brasilito. He hopes to be a positive role model for the neighborhood kids, specifically his little brother, by imparting on them the importance of school and an active lifestyle, all things surfing has taught him. For these reasons, he credits surfing for making him a better person. His ISA Scholarship will not only help him fulfill his dream of competing on the national circuit but also help him with education-related expenses. After finishing college, he hopes to open a surf school in his hometown so he can continue to give back to his community. Jesus was born to surf. At just fourteen years old he has already been surfing for half of his life. Introduced to the sport by his uncles, Jesus is a promising young surfer whose dream is to one day represent Costa Rica. 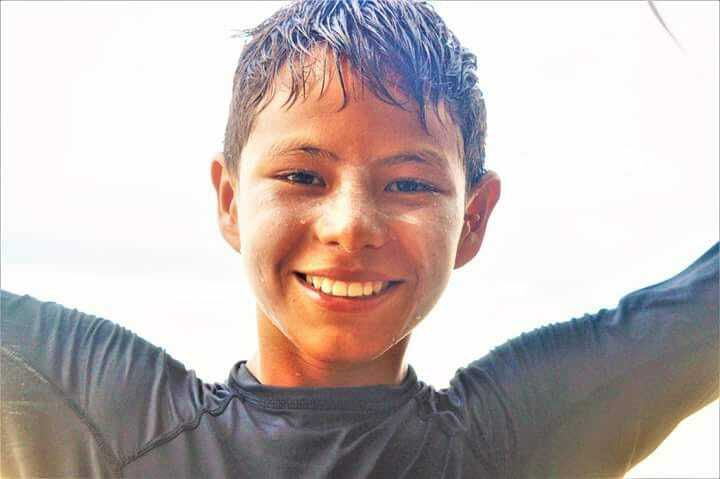 Even though he trains five days a week at his local beach, Playa Hermosa, his school grades haven’t suffered as he has found the balance between school and sport. Another one of his goals in life is to continue his education and study botany. His ISA Scholarship will help him with travel-related expenses so he can attend surfing competitions. It will also help him purchase a new computer for his continuing education. Cristofer started surfing two years ago and has never looked back. This young surfer has big skills and even bigger dreams. He is working hard towards becoming the best surfer in the Dominican Republic and his coach praises him as having “excellent physical abilities”. He hasn’t forgotten the importance of education, as he dreams of attending college and studying architecture. With his ISA Scholarship he will be able to travel outside of Playa Bonita, so he can compete with surfers from all over the world and improve his skills. If there is something Romeo loves, it’s to surf. One of the many things he loves about the sport is that it brings him closer to nature. He and his friends surf together in Santa Elena, and in his own words, he is “relaxed” when he is on the beach. He wants to keep growing as a surfer and wishes to attend competitions, so he can improve his skills. His ISA Scholarship will aid him to do just that, helping him with expenses related to traveling and coaching. Fifteen-year-old Lineta Bokadi, better known as Lini, is a talented young surfer from Fiji's Coral Coast. Her hard work and skill are evident in and out of the water. She is eager to learn more about surfing in the coming years so one day she can share the stage with the world champs. She also hopes to become a marine biologist someday. She is working hard to balance her academic and sporting careers so that in the future she can achieve all her goals. Her ISA Scholarship will help her continue her education. It will also help her get a new board. Samu Navosu Bokadi really loves to surf. He loves the ocean so much he hopes to be a boat captain one day, so he can keep his connection to the sea. He was brought into surfing by his sister, and fellow ISA Scholarship recipient, Lini. They both enjoy spending time together practicing in Fiji's Coral Coast. He wants to learn more about the sport he loves so he can continue to improve his skills. His ISA Scholarship will help him continue to pursue his love of surfing and his dream of a higher education. Gardy Clervil is a passionate young surfer from Haiti. His tremendous dedication to the sport has placed him as a future leader of Surf Haiti. Despite some financial hardships, he is incredibly enthusiastic both in and out of the water. His hard work and dedication have set a positive example for his peers, with whom he enjoys surfing in Kabic Beach. Seventeen-year-old Lafond Adolphito has been surfing for four years and is already seen as the future of Surf Haiti. His contagious energy is well known around the community, both in and outside of the water. Despite some financial difficulties, his spirit has not wavered, as he faces these challenges with hope and positivity. His ISA Scholarship will help with those hardships, so he can continue to spread his surfing spirit. Marc-Luther Jean is an active member of his community and a promising young surfer. He is always willing to give time to his peers both on and off the beach with his fantastic energy. That energy is translated into the waves and he is a future leader of Surf Haiti with his undeniable skill. His ISA Scholarship will help him pursue his surfing dreams while also helping him with his education. At eighteen years old, Ovel Duclere is ready to take on the surfing world. He has been surfing for 3 years and is part of the next generation of surfers from Surf Haiti. He is always encouraging his peers both in and out of the water. A well-respected member of his community, he has become a role model for the youngest members of his neighborhood. His ISA Scholarship will help him continue his role in the community by aiding him with education and travel-related expenses. For Abdolrahman Faroghi Tabli, discovering that he could surf close to home in Qeshm Island, Iran was a dream come true. He has always aspired to surf Australia’s “Surfers Paradise” and now that he has started practicing the sport, that dream is closer to reality. He also aspires to represent Iran in future Olympic Games. 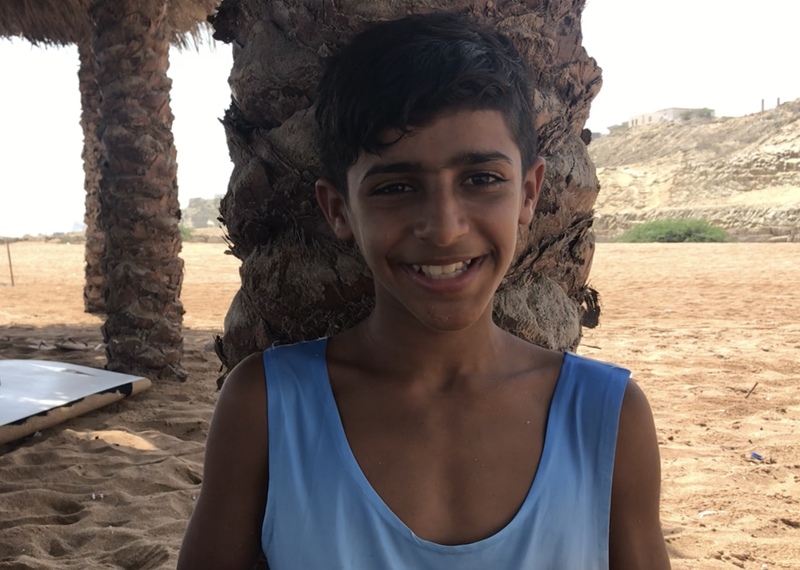 Abdolrahman also has a strong passion for his community and wants to become a surfing instructor in his village so he can have a positive impact. He loves to study and hopes to attend a university to become a doctor. His ISA Scholarship will help him to develop his surfing talent by helping him get a new board. At the young age of fifteen, Farima Nouri is already a big influencer in Iran’s surf scene. She hopes to inspire many other young women to try the sport that has changed her life in such a positive way. Surfing boosted her happiness and confidence in herself, and that is something that she wants to share with other members of her community. She hopes to attend university directly after high school so that she can become a doctor. Her ISA Scholarship will aid her with her continuing education and her surfing career. Farough Balouch is one of the best athletes in Ramin Village. It comes as no surprise that he turned out to be a fantastic surfer. He is a dedicated student and a passionate surfer, who has two big dreams: to attend university and to surf in the Olympic Games. Both of his dreams will help with his ultimate goal of giving back to his community, helping other people achieve their dreams as well. His ISA Scholarship will support his education and surfing-related expenses, so he can accomplish those dreams. 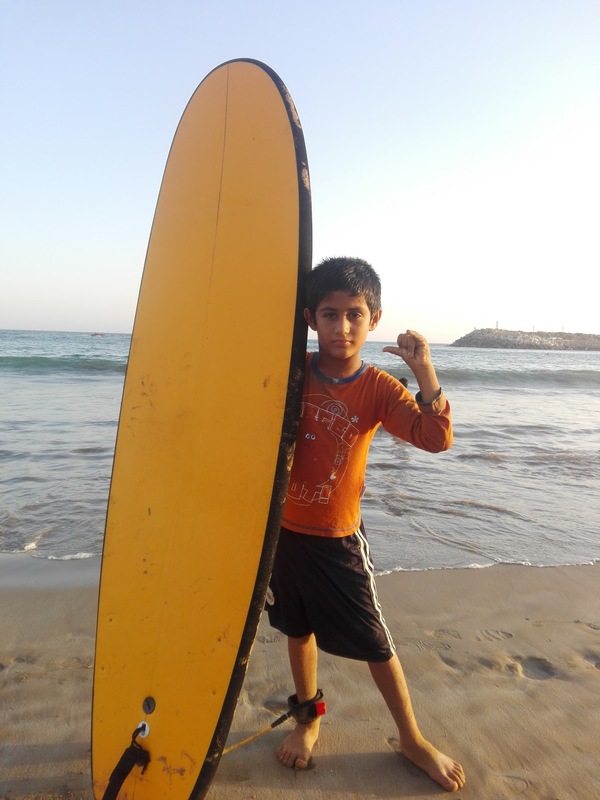 At the young age of eight years old, surfing has been with Homayoun Fouladi for almost his entire life. 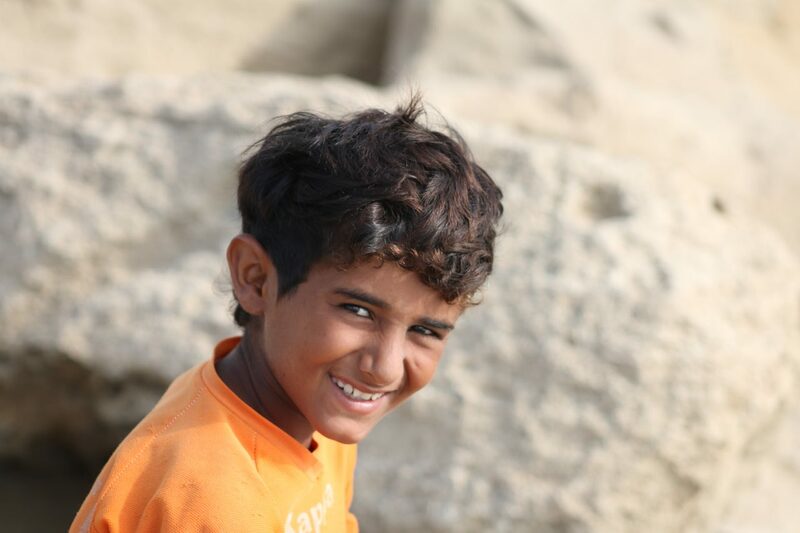 His father is a surf coach in Ramin Village and one of his greatest inspirations. He has always felt at home in the water and is an exceptional swimmer. He wants to continue training and working hard on his surfing skills so he can one day attend the ISA World Surfing Games. He plans to use his ISA Scholarship to buy a new surfboard that is the perfect size for him. Seraj Balouch has a natural talent for surfing. He is the youngest surfer in his village that can catch a "green" face wave, despite the lack of a proper board. When he started surfing, he was able to stand up on the board on his first try. He is not only a talented athlete, but he is also a dedicated student. He wants to continue his education and attend university. He intends to train hard in hopes of one day representing Iran at the ISA World Surfing Games. Seraj will use his ISA Scholarship to get a new shortboard so he can continue to improve upon his natural talent. Ezechiel Taho lives in a very small fishing village named Grand Drewin, a place where surfing is hard to come by. That was no obstacle for Ezechiel, who started surfing with wood planks from fishermen boats. His talent was visible even then. His love for surfing has been contagious, resulting in all the other kids in the village joining him out in the waves. He has no plans of slowing down and aspires to be a professional surfer. His ISA Scholarship will help him get some brand new surfing equipment so he can continue to improve his surfing skills. Daniel Mattis has talent to spare. At his young age, he has displayed fantastic skills in the water and impressive ambition at school. Despite his financial struggles, Daniel has already emerged as a strong force in the Jamaican junior surf scene. He surfs every day and pushes himself to improve his surfing while always having a blast and enjoying himself. He hopes to give back to his community in Copa Beach and to be a positive impact for future generations. Daniel will use his ISA Scholarship to continue his education and get some new surfing equipment. For Kai Chang, surfing is an activity she enjoys doing with her entire family. They all started surfing three years ago and it has brought them closer together. She says that surfing brings her peace and health and for that reason, she wants to continue to practice in Bull Bay, Jamaica to one day become the best surfer in her nation. She is working hard at school as well and dreams of attending college. She also hopes to open a bakery so that she can share sweet treats with the world. Kai will use her ISA Scholarship on a new surfboard and school supplies. For Candelaria Resano’s family, surfing is a household activity. She is a talented young surfer that is already ranked in the Nicaraguan Surf Circuit. Surfing has helped her overcome her fears while having fun doing so. She trains frequently so that she can continue to improve her skills and attend the 2018 VISSLA ISA World Juniors Surfing Championship. Despite her focus on training, she is also a devoted student that excels in the academic front as well. Her ISA Scholarship will help her with traveling expenses so that she can continue to attend surfing competitions world-wide. Oscar Gusman is a community leader at just sixteen years old. He frequently participates in beach cleanups and has learned CPR. He started surfing three years ago and quickly discovered that surfing was his passion. One of Oscar's favorite beaches to practice the sport is Playa Santana in Nicaragua. As a community leader, he hasn’t forgotten about school. It is very important to him to better his English so he can have a better job in the future. His ISA Scholarship will help him alleviate the financial burden of his education and equipment fees. Valentina is veteran competitor in ISA World Championships and works very hard to train for each national and international competition. Valentina is also focused on her studies, she dreams of attending college one day. She is not sure yet what she wants to study because she loves too many things in the academic world. Her ISA Scholarship will help her with traveling expenses, so she can travel to surfing competitions, including the 2018 VISSLA ISA World Junior Surfing Championship. Yxernyl, better known as Mccoy, is leading the way for young surfers in his community of San Felipe, Zambales. He has introduced several of his classmates to the sport, going as far as lending them his equipment and coaching them. He doesn’t let his busy surf schedule interfere with his grades, as he makes it a point that all class work be submitted on time regardless of whether he is traveling or not. His ISA Scholarship Award will help him get a brand new custom board to replace the board he broke in his last competition. This award will also aid him in his continuing education. Puleiata Martin is only fourteen years old, yet he has already been surfing for ten years. His family owns a surf shop in Aganoa Beach, one of his favorite surfing spots. Surf runs in his blood, but he is also very focused on school. He aspires to attend university and study tourism, so he can help his family business. He is very excited to be representing Team Samoa at the upcoming 2018 VISSLA ISA World Junior Surfing Championship in Huntington Beach. He will use his ISA Scholarship to get a new board and help with his education. Birame Gueye is leading by example in Dakar, Senegal. He is an avid surfer and a committed student. He wants to show the other young members in his community the positive impact an active lifestyle and continuing education can have. He loves to surf but sadly doesn’t own a wetsuit which prevents him from surfing during the colder months in Senegal. His ISA Scholarship will help him get his own equipment so he can surf year-round. The award will also help him with academic expenses so he can continue to be a positive influence both in school and in the water. 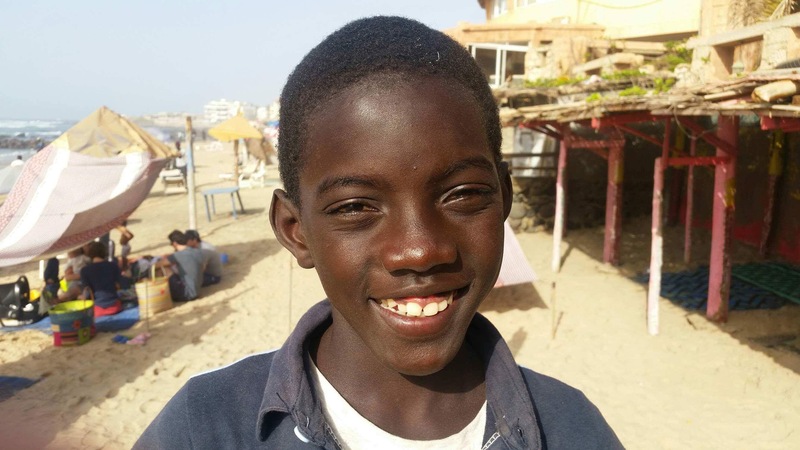 Fifteen-year-old Ismaila Samb lives eight hours away from his hometown of Dakar, Senegal. He moved away so can get the best education possible, but sadly there is not a beach anywhere near his school. That hasn’t stopped him from developing into a fantastic young surfer. Whenever he is back home, he spends all his days out in the water. He is showing the kids in his community how it is possible to balance a good education while developing your athletic talents. He will use his ISA Scholarship to further his education and get himself a new surfboard. Maguette Ndoye, better known as 'Kumpere', is at his happiest when he is riding a wave. He might be a bit shy on land, but his joyous personality is on full display when he is on a surfboard. Especially if it is his favorite wave of Ngor, Dakar, Senegal. When he is out surfing, there is nothing he enjoys more than the speed of it. He wants to continue the successful balance of education and surfing, so he can show the young members of his family that both can be done. His ISA Scholarship will help him achieve just that, the ability to pursue both education and surfing so he can continue to be a positive role model for those around him. 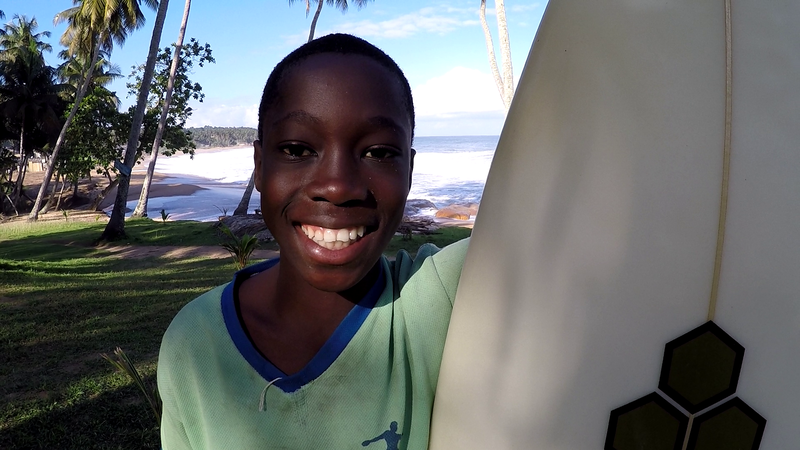 Thirteen-year-old Mouhamed Sambe is a caring brother, a dedicated student, and a fantastic surfer. Together with his siblings, he takes turns sharing his sister's surfboard at Virage Beach. He prioritizes his education and travels forty minutes every day to attend school. Mouhamed hopes to compete in national competitions so he can continue to learn from his peers. He will use his ISA Scholarship to get a new surfboard, so both he and his sister can be out on the waves at the same time. In Senegal there a very few female surfers. 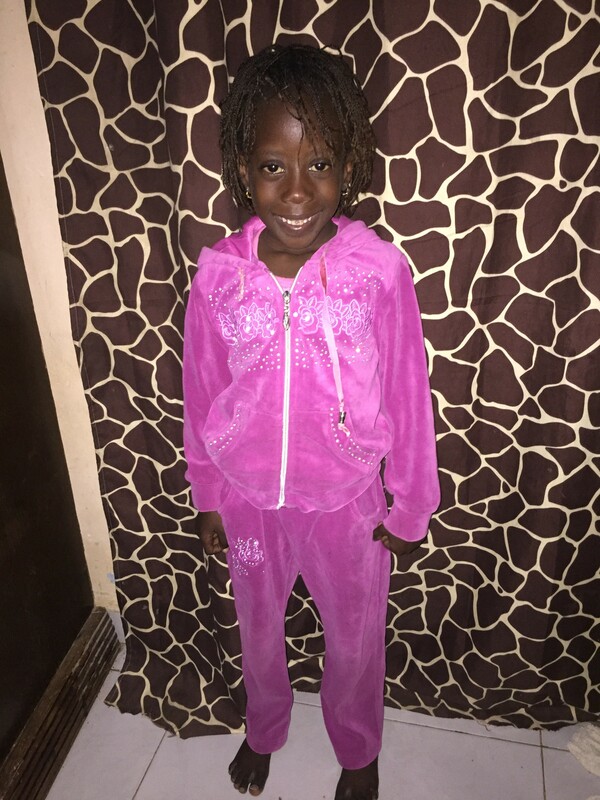 However, that fact didn’t stop seven-year-old Sokhna Ndiaye. She started surfing a little over a year ago with her dad and has enjoyed every second of it. Her unmistakable joyfulness translates to her surfing at Ngor Beach. She just started the first grade and is working on her French. She wishes she could surf year-round, but sadly the cold-water temperatures don’t allow it in the winter months. She will use her ISA Scholarship to get a wetsuit, so she can continue to surf and improve her skills in colder conditions. 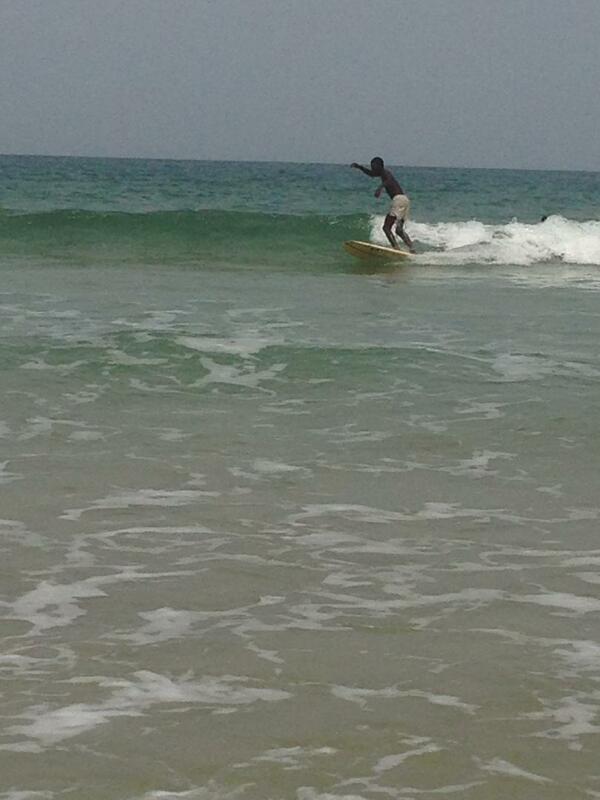 Ibrahim Kamara has a knack for surfing. His skill on the waves and the joy the sport brings him are noticeable from a distance. His success in the academic and athletic fields is inspiring other kids in his community, many of them his fellow surfers. He and his friends love to surf in Bureh Beach, Sierra Leone. He stays committed to his education despite his financial limitations. He will use his ISA Scholarship to help finance his studies and his surfing endeavors. Junior Konneh has been surfing in Bureh Beach, Sierra Leone for five years. Over time his skills have improved considerably, making him one of the most promising young surfers in his country. His optimism has undoubtedly impacted his fellow surfers, as he has become a role model in his community. He loves his family, he loves school, and he loves to surf. He will use his ISA Scholarship to fund his education, so he can continue to work towards a bright future. Thomas Mansaray is a skilled and motivated surfer from Bureh Beach, Sierra Leone. He is always there and ready to help when his local surf club needs a few extra hands. Although surfing is his passion, his education remains a top priority. He will use his ISA Scholarship to help with education-related expenses so he can focus on his future without worrying about finances. William Samba lives and breathes the ocean. 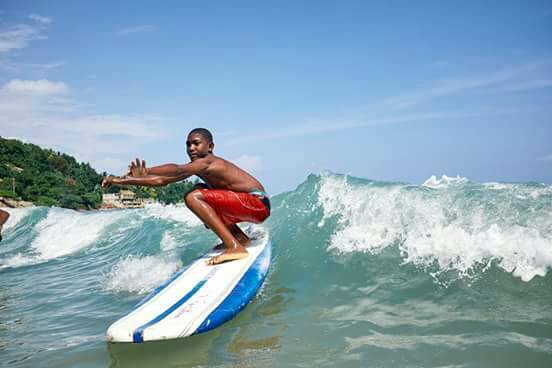 Whenever he can surf, you will definitely find him on the waves of Bureh Beach, Sierra Leone. When he is not surfing, you will find him in school working hard towards his diploma. As a fantastic student with a passion for learning new things, it comes as no surprise that he has emerged as a role model for the kids in his community. He wants to continue the good work and will use his ISA Scholarship to further his education and his surfing skills. Zia Hendriks' positive outlook on life is truly contagious. She is always pushing herself to be the best she can be, whether it is in the academic field or the athletic one. She loves to surf because it keeps her out of the streets and out of trouble. Her favorite places to surf are along the J Bay Coastline, such as Kitchen or Point Beach. She loves her school and her teachers because they have helped her improve her grades and achieve all of her academic goals. Her ISA Scholarship will help her continue her education, so she can reach her ultimate goal of one day becoming a teacher. Sahan Madusanka dreams of representing Sri Lanka as a surfer one day. Therefore he spends as much time as he can out on the waves of Arugam Bay, so he can achieve this dream. He loves to surf because, not only is he having fun with his friends, but he is also strengthening his body and making him healthier. He hopes to study tourism, so he can help increase the surfing tourism in Sri Lanka. He will be using his ISA Scholarship to get a new surfboard and to continue his education. For fifteen-year-old Oba Lewis, his 2017 ISA Scholarship gave him the chance to continue his education and compete in several surfing events. Not only that, but he won the award for the most improved surfer in 2017. Since then, he has continued his training in Balandra Village, his favorite place to surf. He continues the hard work, both academically and athletically. His love for surfing has only grown and he credits surfing for keeping him off the streets and out of trouble. His 2018 ISA Scholarship will help him continue the good work and aid him with travel expenses and competition entrance fees. Nicole Leiva is the two-time national champion in the u16 category of Uruguay. Her biggest dream is to represent Uruguay in the ISA World Junior Surfing Championship. She qualified for the competition in 2017 but sadly due to lack of funds, was not able to attend. She hopes to continue her education and help to continue the growth of surfing in Uruguay. Her favorite place to surf is her local beach of La Paloma, Rocha. This is where she trains every day to further her skills and stay at the top of the surfing world. She will use her ISA Scholarship to aid her with travel-related expenses, so she can fulfill her dream of representing Uruguay at the 2018 VISSLA ISA World Junior Surfing Championship. Luna Marcano was born to be an athlete. She trains every single day of the week, doing physical training during the weekdays and surfing on the weekend. She loves the ocean and loves surfing because she feels like she is in touch with nature when she is out in the water. She would love to study marine biology, so she can continue to be in touch with the ocean for the rest of her life. She hopes to represent Venezuela as a pro surfer one day in international competitions. Her ISA Scholarship will help her get a new surfboard, continue her education, and represent Venezuela at the 2018 VISSLA ISA World Junior Surfing Championship. Eighteen-year-old Kalum Bruhwiler Temple is a surfer from Tofino, Canada who has been surfing for 12 years now. His goal is to reach the 2020 Olympics and his level of training and dedication to reach this goal is unparalleled. While many would assume that such dedication in the water may detract from dedication in the classroom, Bruhwiler rose to the occasion and showed an increase in his school performance as well. He plans on applying to Quest University after completing high school but his most immediate goal is to represent Canada in the 2017 VISSLA ISA World Junior Surfing Championship in Hyuga, Japan. The ISA is awarding his scholarship in the form of a registration entry fee for the 2017 VISSLA ISA World Junior Surfing Championship in Hyuga, Japan where he has been selected to represent his National Team. Kalum has a bright career both athletically and academically and we wish him the best of luck in September! Dilan Bernales is a 15-year-old adaptive surfer from Arica, Chile. 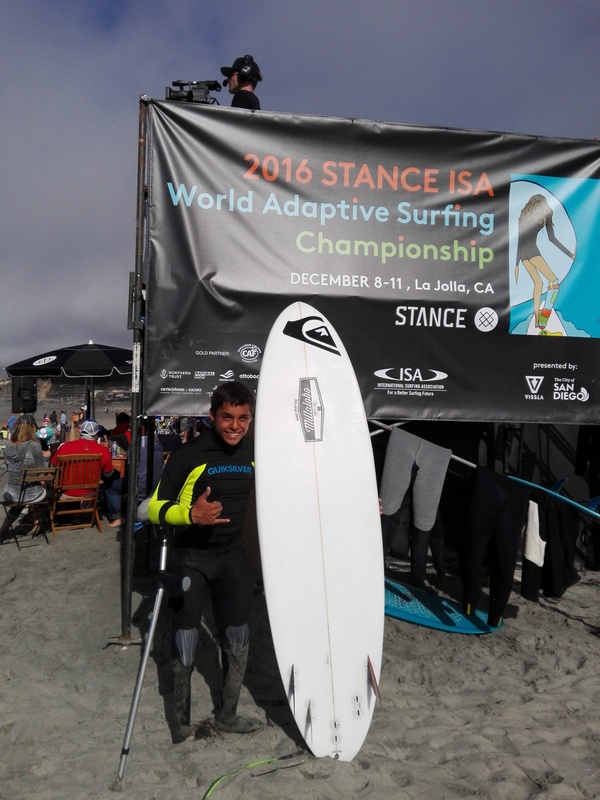 Bernales began surfing three years ago and has since won the Chilean National Championship for the AS-1 Division and represented his country as a member of Team Chile in the 2016 Stance ISA World Adaptive Surfing Championship. Bernales has a strong sense of resilience, learning to surf and becoming a champion despite living with severe scoliosis. He is a role model for many other children in his community and motivates them with his charismatic attitude. He hopes to use his ISA Scholarship for training to continue to progress his surfing skills and one day become an ISA World Adaptive Surfing Champion. Freddy Marimon is a 12-year-old adaptive surfer from Colombia. Surfing has transformed Marimon's life in a special way. On land, he is restricted to a wheelchair. However in the water he feels as though he has no limits and is able to move the board like any other surfer. He loves to be on the beach and dropping into big waves. In 2016 Marimon competed in the Stance ISA World Adaptive Surfing Championships in La Jolla, California and placed fifth. Marimon plans to return this year and hopes to someday become an ISA World Adaptive Surfing Champion. Marimon is entering high school and wants to receive the education to one day become a veterinarian. 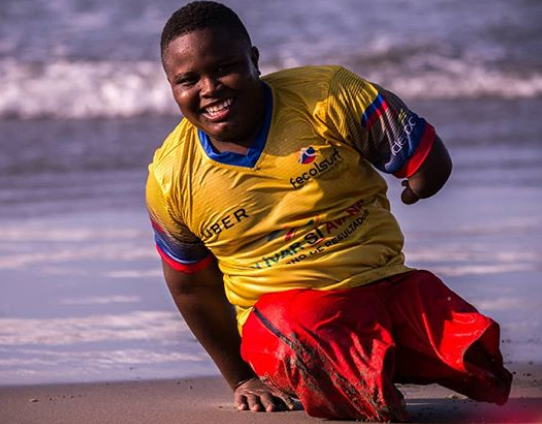 He also wants to develop his English-speaking skills so that he can communicate with the other Adaptive Surfers during the ISA World Adaptive Surfing Championship. For 16-year-old Leimer Morales, SUP surfing has opened his eyes to new possibilities. When Morales first started training with his coach, Pedro Salazar, he was not enrolled in school. Salazar instilled the importance of education and required Morales to re-enroll in school if he wanted to receive lessons. Morales believes that surfing has changed his life because he now understands the importance of maintaining an education while pursing a dream. Morales plans to use his ISA Scholarship to purchase a new SUP in hopes of competing in the Colombian SUP Nationals. When Camila Summers was 13 years old, the National Circuit came to her hometown of Puerto Viejo and she decided to try her luck at competing. She is now 17 years old and has been competing ever since. Summers trains 3 hours a day in and out of the water to continue to progress her skills. She hopes of one day qualifying for Team Costa Rica to represent her country in the ISA World Surfing Games. As a recipient of the ISA Scholarship, Summers hopes to be a role model to other girls in Costa Rica and inspire them to start surfing. Kalani Abrahao is an 11-year-old surfer that moved from Brazil to Costa Rica at the age of 2. There, he competes on the National Circuit where he has been able to stack up a respectful list of results including his most recent achievement as National Champion in the Under-12 division. Abrahao also avidly practices the sport of Jiu Jitsu and has a high level of discipline that directly translates into his surfing performance. Growing up between Brazil, the U.S., and Costa Rica, Abrahao has become fluent in Portuguese, English, and Spanish. He aspires to continue competing in the Costa Rican Nationals as well as to travel and compete on an international scale where he can further develop both his language and surfing skills. Eleven-year-old, Rachel Aguero, is currently competing in the "Mini Grom' and 'Junior" categories in the Costa Rican National Circuit with the goal of becoming a professional surfer in the future. Not only is she talented in the water, Aguero is as equally committed to her studies as she is to her surfing. Aguero lives 1.5 hours away from the nearest beach yet this obstacle does not prevent her from missing any training or from succeeding in school. This level of dedication is not only timely, but also expensive as it requires her parents support to drive her to/from the beach on a daily basis. In only a short time of competing in tournaments on the National Surfing Circuit of Costa Rica, Aguero is already ranked among the top positions in her categories. The ISA Scholarship will help fund her gas and travel fees to keep up with her training regime and contest entry fees. To 16-year-old English surfer, Barnaby Cox, surfing is more than just a hobby. Surfing is also a release where he can clear his mind and feel refreshed and connected to something bigger than himself. When Cox faced some unexpected family health hardships, he began dreaming of a future where he could financially support his family through doing something that he loved: surfing. This dream has launched Cox into success where he recently achieved several impressive results including at the British Nationals. Cox hopes that with the support of sponsors, family, and the ISA Scholarship he will be able to create a future in surfing and one day support his family. Sixteen-year-old Kalani Wakeham has two aspirations in life: to be a professional surfer and an avionics engineer. His determination and work ethic come from his parents' examples because they work extremely hard to support he and his sister. The ISA Scholarship will help alleviate the financial strain on Wakeham's parents and help provide for a continued education where he plans to obtain a degree in engineering. In addition to Wakeham's educational goals, he also strives to be a professional surfer and one day represent Fiji at an ISA World Championships. Ulaiasi Tukana is a 14-year-old surfer from Vunaniu Village, Fiji. He hopes to use the ISA Scholarship to finish school and go to a university. Tukana plans to study tourism so that one day he can work at a surf resort. When he’s not in school Tukana spends time with the local surf guides learning about the surf breaks and learn how to speak to the tourists. Tukana dreams of representing Fiji and this year, hopes to compete in Under 16 division at the 2017 VISSLA ISA World Junior Surfing Championship in Hyuga, Japan. Leticia Kwofie is a 16-year-old surfer from Ghana that began surfing last year. The ISA Scholarship will, first and foremost, be used to fund her educational expenses at Senior High School. It will also give her the ability to purchase her own surfboard as this is not an expense her mother is able to cover and her only access to surfing has been through borrowing boards. 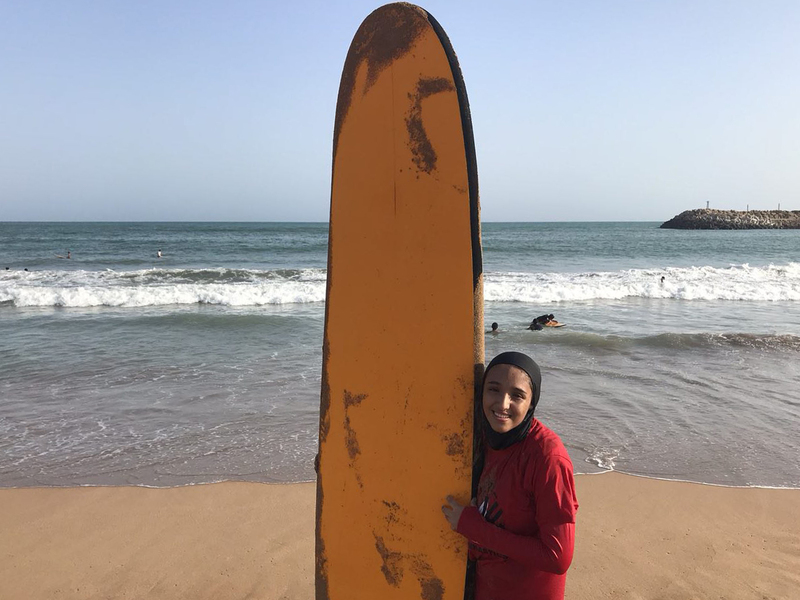 She hopes that with her own surfboard, she will improve her skills enough to enter the local surf competitions in Ghana and encourage more girls to surf. Salamatu Quantson is 13 years old and a passionate student and surfer. The ISA Scholarship funds will be used to support her education by paying for her outstanding school fees, enrolling her into exams for next year, and giving her the ability to purchase the necessary new school uniform, school bag, and books. It is not typically possible for children in low-income families in Ghana to buy their own surfing equipment so the extra money will allow her to own her first surfboard where she can continue improving her skills. Fourteen-year-old Michael Jules embodies the spirit of surfing with the dedication and passion he exhibits both in and out of the water. He is an enthusiastic surfer and active member of Surf Haiti. As the next generation of the sport, he uses his positivity and hopefulness to set examples for surfers around him other surfers. Even though Jules and his family may deal with financial challenges, he continues to find a way to overcome and advance further with his education and surfing. Nelson Jeudy is a 16-year-old from Haiti who is dedicated to both his surfing and education. Despite the struggles he and his family may face, Jeudy does not let it get in the way of his goals and dreams. As a member of Surf Haiti he will be the next generation representing his country, and his enthusiasm for the sport is sure to help him succeed. Sameson Jules is a 17-year-old surfer who is a role-model student and active member of Surf Haiti. He is passionate about both his education and the sport of Surfing. Jules is a role model both in and out of the water for fellow students and surfers in his community. Although Jules and his family face financial challenges, he continues to exhibit hope and positivity. With his dedication and strong work ethic, Jules hopes to use his education and surfing to better his family’s financial situation and achieve his goals and dreams. Darian Haynes is a 17-year-old adaptive surfer from Hawaii. She has been surfing for seven years and has racked up noteworthy results including a 4th Place as the only female in the Assist division at the 2015 ISA World Adaptive Championships. The ISA Scholarship will go towards a custom adaptive surfboard that will take her surfing to the next level because her current board is too heavy for her to turn quickly. She believes this will help her unleash her inner Carissa Moore as she continues to transition into the AS1 Stand division. 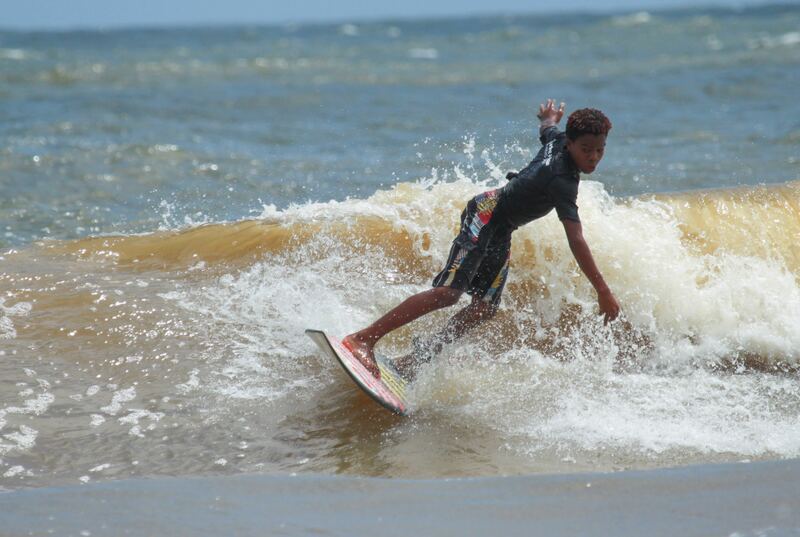 Fifteen-year-old, Chandrappa Jamo, has been learning to surf the past year on borrowed boards. Despite the short amount of time surfing has been in his life, Jamo is hooked and believes it will be a life-long hobby. The ISA Scholarship will allow Jamo to purchase his first surfboard so that he can progress much faster and keep his passion alive. Jamo will also be able to pay for his school uniform and tuition fees. He will also be able to pay the traveling expenses to enter the Chennai Competition in India. Tanvi Jagadish is one of the promising young female athletes in Surfing and SUP in India. At 17 years old she is the current National Champion of SUP Surfing and the SUP Distance Race in India and represented her country in the 2016 ISA World StandUp Paddle and Paddleboard Championship (WSUPPC) in Fiji. With the ISA Scholarship she plans to get equipment to focus on an advanced training regime to compete in more international world championships including the 2017 ISA WSUPPC. The ISA Scholarship will also assist her educational goals where she hopes to learn skills to allow her to work in Social Services and help people all around India. Lars Kintscher is a 14-year-old triplet from Namibia. Lars' current surfboard is badly damaged and the ISA Scholarship will assist him in purchasing a new surfboard to get back in the water. He and his brothers hope that one day soon a surf coach will come to Namibia and host a surf camp. Until then, they dream of traveling to their neighbor country of South Africa to receive lessons to advance their skills. Lars placed 3rd in a local 2016 contest in the U14 division. Nils Kintscher began surfing 5 years ago at the age of 9. Now at 14 years old, he has grown out of his wetsuit and is unprepared for the upcoming cold winter in Namibia. Nils placed 1st in a local 2016 contest in the U14 division and is always working on improving his skills for the next one. Soren Kintscher is a 14-year-old surfer from Namibia. Over the past five years since Soren and his triplet brother began surfing, he has participated in a number of events and surf classes. With the ISA Scholarship, Soren will be purchasing a new wetsuit to get him through the cold winter months in Namibia. He and his brothers would like to go to South Africa to receive coaching at a surf camp. Soren placed 2nd in a local 2016 contest in the U14 division and is always working on improving his skills. Fourteen-year-old Amaru Rodriguez from Peru believes surfing prepares him to face any problems that are presented in life. While Rodriguez often finds school very demanding, surfing brings him release from the tension of his studies and exams. He is quite the competitor for his age, winning multiple titles in the Under 14 division. He also competed in the King of the Groms competition in Playa San Bartolo and placed third. Gael Alvarez is a six-year-old surfer from Puerto Rico who was born with Down Syndrome. Gael loves being in the water; however, due to the economic situation of his family he is unable to take classes to learn how to surf and swim. With the ISA Scholarship, Alvarez will be able to develop these skills and get a surfboard to fit his specific needs. Alvarez hopes to compete in the future. Alassane Sambe is a 17-year-old Senegalese surfer that has a style all his own. His village of Ngor was where the 1966 movie "The Endless Summer" was filmed. He grew up watching the movie and looking up to the older generations of surfers that charged big waves. Sambe's cousin is Cherif Fall, one of the best surfers in West Africa who just represented Senegal at the 2017 ISA World Surfing Games. Sambe hopes to follow in his footsteps and Fall is generous to let Sambe use his old boards to develop his skills. Sambe also aspired to achieve a high level education like his older brother that attends University. This level of education is not common in Ngor and the ISA Scholarship will help assist with these school fees and further his dreams. Mamadou Samba is a 16-year-old surfer from Senegal that dreams of continuing his education and also becoming a surf champion. 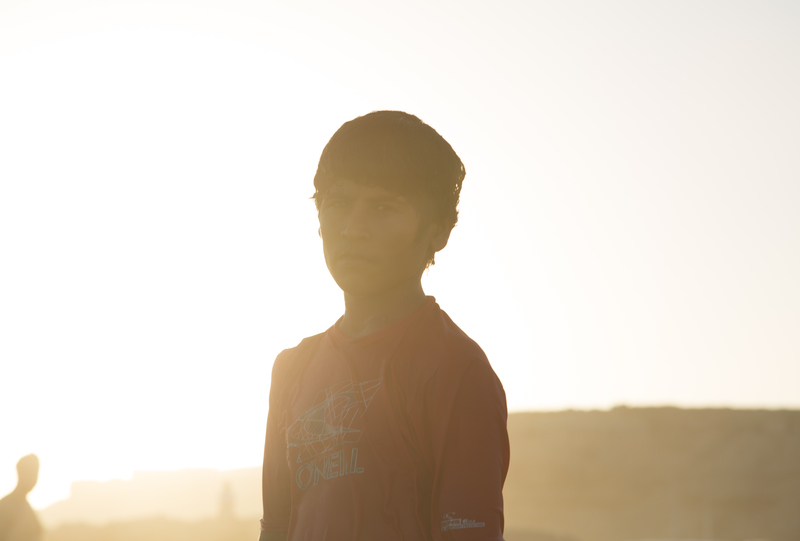 Samba highly values his studies and is not allowed to surf unless he maintains his school work. The ISA Scholarship will help him pay for these school fees and keep him on track to achieve his goals. Samba also hopes to use the ISA Scholarship to receive surf coaching where he can further develop his skills and compete at the highest possible level. 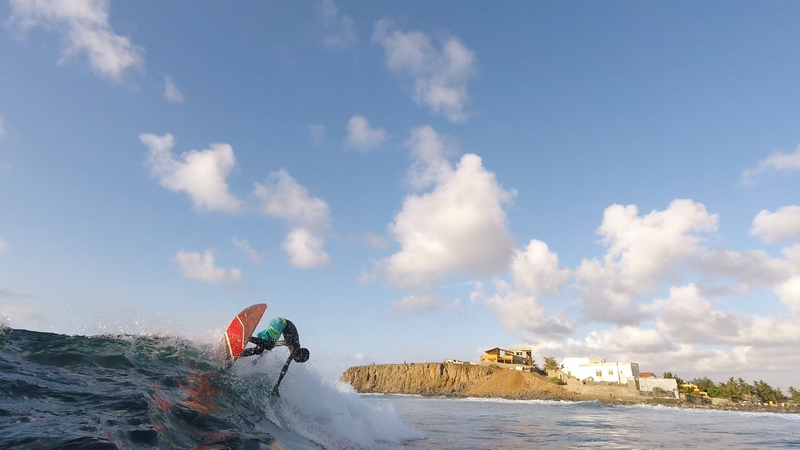 Six-year-old Mbodji Nicole Sambe is one of the only female surfers in Senegal. In her country, Surfing is considered a boy's sport but Sambe wishes to break this stereotype and be proof that girls can love the ocean and be just as talented as the boys. The ISA Scholarship will allow her to purchase her own surfboard so that she can practice on Virage Beach where she spends most of her time. 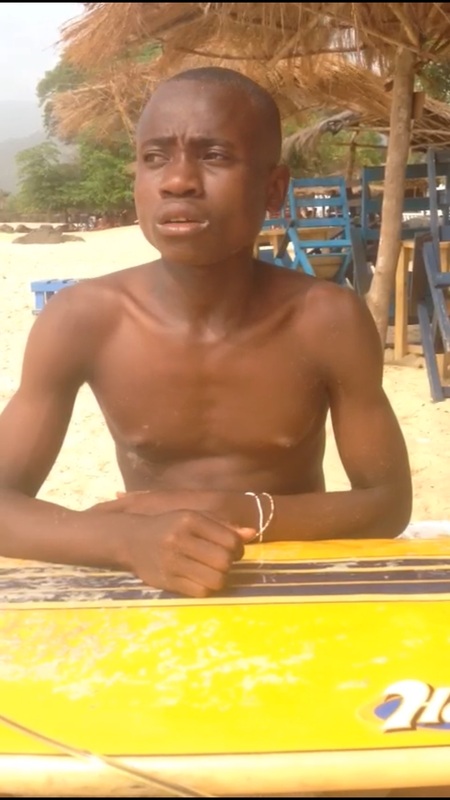 Thirteen-year-old Mohamed Koroma is a member of the Bureh Beach Club in Sierra Leone. Koroma is passionate about participating in all club activities and is committed to the club's Junior Surfers Program. Koroma values the importance of his studies and makes sure to maintain a balance of both his education and surfing. In his spare time, he helps out at the Bureh Beach Club Surf Bar to earn a little extra cash to help support his passions and his family. The ISA Scholarship will help relieve the financial burden of his school fees and help support his dream of becoming a better surfer. Nine-year-old Osman Kamara is one of the youngest surfing talents in Sierra Leone. 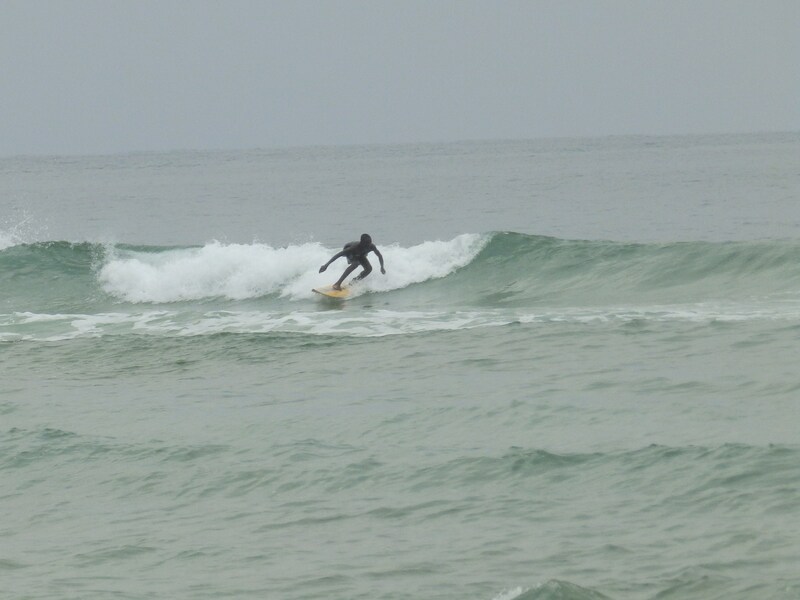 He is an active member of the Bureh Beach Surf Club and spends most of his time with the Junior Surfers Program. His motivation and talent is contagious to all surfers around him. Outside of the water, Kamara aspires to further his academic studies and with the help of the ISA Scholarship he has the opportunity to continue his education. Samuel Johnson is a 15-year-old surfer from Sierra Leone. Johnson has incredible dedication to the sport and to the development of Junior Surfing in Sierra Leone. His main focus is helping others and looks after his fellow surfers as if they were family. His social skills and motivation to help the community will attribute to his ability to better the sport of Surfing in Sierra Leone. The ISA Scholarship will give him the means to continue his education and further develop Junior Surfing. For sixteen-year-old Dillen Hendricks, surfing has opened up a world of possibilities. Not only does he have a better understanding of who he is as an individual, he has met amazing friends in the water. Hendricks is very optimistic and hopes that his connections and networking will create job opportunities for him once done with school. Although Hendricks comes from humble backgrounds with challenging financial situations, he is one of the most determined athletes in his age group to succeed and has recently been selected to represent Team South Africa at the 2017 VISSLA ISA World Junior Surfing Championship in Hyuga, Japan. S’nenhlanhla Makhubu is a 14-year-old surfer from South Africa. Her natural talent for surfing has propelled her to the top of the rankings and she desires to join the South African Junior Training Squad from which the selections for the 2017 VISSLA ISA WJSC will be held. While Makhubu is able to maintain her grades while balancing her competition schedule, it is a financial burden to keep up with the cost of both her education and fees. Due to financial hardships, she is also unable to purchase the equipment needed to continue developing her skills. The ISA Scholarship will help alleviate this burden by offering support to continue pursuing her dreams both in and out of the water. Rohan Salceda is a 12-year-old surfer from Spain. In just two short years since he started surfing, Salceda has already won a competition in the Under 12 division along with a variety of other podium finishes. His love for surfing is matched with an overwhelming sense of dedication to training which explains his quick progression in the sport. While his parents support Salceda's passion, their resources are strained to continue driving the long distances to the training facility where Salceda can progress his skills to the next level. The ISA Scholarship will help alleviate this financial burden, and with Salceda’s strong work ethic and great sense of optimism his surfing will have to chance to grow exponentially. Elton John, an 18-year-old surfer from Trinidad and Tobago, believes surfing changed his life. John lives in a household with 12 other individuals and faces daily financial insecurity and challenging domestic situations. Unlike his peers, John has avoided the negative influences in his community by choosing to surf instead. He believes that if it wasn't for surfing, he could be in jail. Surfing clears his head and keeps his intentions pure. He hopes to one day be a lifeguard so he can spend all of his time on the beach or in the ocean. John has also had success surfing in his country’s National Trials, placing 1st in the Juniors division and also winning an Open Men’s division. Thirteen-year-old Oba Lewis has been surfing for a year in his home in Trinidad and Tobago. Lewis lives in the same household as Elton John, fellow ISA Scholarship Winner, and has followed in John's footsteps by using surfing as an outlet to overcome negative influences. Many children in his community turn to drugs or violence to cope with financial and domestic difficulties; however, Lewis sees the power in surfing. With the ISA Scholarship, Lewis hopes to buy a new surfboard to replace his broken equipment. He also wants to use the funds to afford a trip to the Independence Pro in Barbados. This would be his first trip out of the country and looks forward to the opportunity to learn what the experience has to offer. Luis Zambrano is a seventeen-year-old bodyboarder from Venezuela. His level of dedication to his bodyboarding is mirrored to his education. Being in the ocean is more than just a hobby for Zambrano, it is also a way for him to get to know people with common interest and build his network throughout the global community. Zambrano feels the sport makes him a more complete person by educating him at a professional level and with a sense of awareness for other cultures. After completing high school, he plans to study at a university level although he currently lacks the funding to do so. The ISA Scholarship would help support his education and also make more competitions possible. He hopes to continue representing his country in major international competitions including future ISA World Bodyboard Championships. Seventeen-year-old Moises Mendez is a dedicated surfer and student. Mendez schedules his classes in the evening so that every morning, he has the opportunity to wake up and train. This busy schedules keeps Mendez driven and out of trouble. This will be his third year as a national team member, but due to lack of resources he has not been able to attend any international competitions for a chance to prove his skills and represent his country. He hopes with the ISA Scholarship he will finally get to fulfill his dream of representing Venezuela. Eleven-year-old Constanza Alayón dreams of surfing every day and competing on a National level where she can gain momentum in her competitive success and one day represent Venezuela as an international athlete. Alayón is also an avid animal-lover and also aspires to become a veterinarian and work to protect animals. Abril Solis is a fourteen-year-old surfer from Argentina who found her passion for surfing at an early age. According to her National Surfing Federation, Abril has an unparalleled sense of dedication and discipline in both her surfing and education. When she is not studying or in the water, Abril enjoys spending time with her close friends and reading. With the help of the 2016 ISA Scholarship she will be improving her training and funding her education. Raul Bormann is a passionate eighteen-year-old from Brazil who shows extreme dedication to excelling in his studies and surfing ability. With the help of the 2016 ISA Scholarship, Raul plans to attend University and pay his school tuition, a financial burden that his family could not afford and will no longer have to bear. He also plans to purchase surfing equipment that will further his surfing career. Matilda Molina, fifteen-year old surfer from Chile, is passionate about her surfing and determined to improve her skills. With the help of the 2016 ISA Scholarship, Matilda will have the opportunity to compete on the Chilean Circuit among a wider group of competitors that will help her take her competition to the next level. Matilda dreams of going to college, ideally close to the ocean, to study architecture and follow after her father who is a builder. She says that this 2016 ISA Scholarship will alleviate the financial stress on her family and give her the motivation to keep surfing and continue her education. Kenneth Granados has a fire within him to increase his studies because he knows that a higher education will lead to increased opportunities in his future. In addition to the 2016 ISA Scholarship helping to alleviate his educational finances, it will also give him financial assistance to compete on the Costa Rican National Circuit that is held in seven different locations throughout Costa Rica. He lives with his family of four in Jacó, Costa Rica and his favorite place to surf is Playa Hermosa. For fifteen-year-old Cedric, surfing has given him confidence to chase after his dreams and stay disciplined in all areas of his life. During his recess breaks at school, Cedric works on his homework so that he can come straight home from school and get in the water. Along with his focus on school and motivation to surf, Cedric has a sense of humor and enjoys writing rap songs under the alias “Queso Crema.” Cedric’s future goal is to have a career that is connected with surfing, his biggest passion. When he turns 18, Cedric plans to take the ISA Coaching and Judging Courses and obtain his ISA Certifications. Cedric would use the 2016 ISA Scholarship to help pay for school and competition fees on the Costa Rican National Circuit. Abril Sofia Viquez is a fifteen-year-old female bodyboarder from Costa Rica who has a passion and love for the sport. Bodyboarding allows her to spend a great deal of time at the beach and has also introduced her to some of her best friends. Her goal is to represent Costa Rica at the ISA World Bodyboarding Championship and win the Gold Medal. The 2016 ISA Scholarship will help Abril pay for competitions on the National Circuit, new equipment, and allow her to take an English course so she can better communicate with people from other cultures. Eleven-year-old Odin Rodriguez Shaffner has been surfing since before he could walk. With the help of a few of the local surfers in Guanacaste, Odin stood up on his first wave when he was only four years old. Surfing has not only been Odin’s biggest passion but it has also been a positive influence on his life and it provides a sense of community for him. Odin lives with his single mother who works tirelessly to support his surfing and education. The 2016 ISA Scholarship will allow Odin compete in the Costa Rican National Circuit where he can develop his surfing and also assist in paying his school fees. Thirteen-year-old John Vasea from Fiji has been surfing for two years. Currently, John’s guardian Godfrey Eaton is paying for his schooling and surfing career. John hopes that the 2016 ISA Scholarship will allow him to pay for his own contest fees and ease some of the financial burden of Mr. Eaton. John is a good student and his love for surfing is unmatched. He recently traveled to Australia to participate in a program that educates Fijian youth about surfing and surf safety. John desires to train to become a professional surfer like Kelly Slater. Kiesha Wakeham, ten-year-old surfer from Fiji, is energetic, competitive, confident, and dreams of becoming Fiji’s top female surfer. Kiesha learned to surf from her mother and believes that it allows her to be a better person to her family, to Fiji, and to the world. Kiesha has a smile that lights up the room and desires to be a leader for other Fijian girls by showcasing the positive values of the sport of Surfing. One day she hopes to study Mechanical Engineering and design cars. 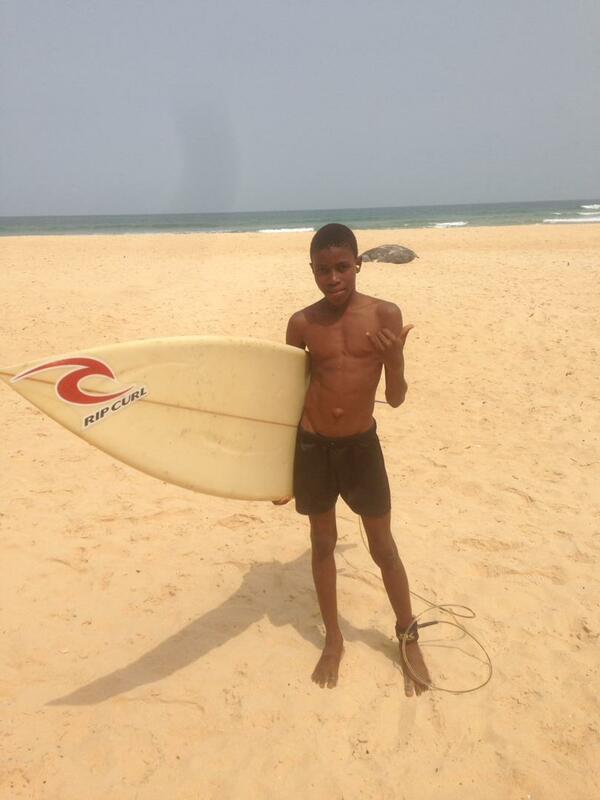 Eleven year-old Bernard Bannor learned to surf in Kokrobite Beach, Ghana. He claims that Kokrobite Beach is his favorite surf spot, but it is also the only spot that he has ever surfed. Bernard hopes the 2016 ISA Scholarship will expand his surfing horizons by giving him the opportunity to travel to the Ivory Coast to compete and also by allowing him to purchase his own surfboard. Bernard loves surfing with his friends and also playing the drums. He dreams of achieving a degree and becoming either a pilot or a surf instructor so he can provide for his family. Frank Ayaa, sixteen-year-old surfer from Ghana, has a positive outlook on life and is always willing to try new things. Just over a year ago, Frank learned to surf and loves the exercise and how it gives him a sense of freedom. Frank recently competed for the first time in a contest organized on International Surfing Day and he placed fourth in the Junior division, beating others who have been surfing for much longer than he has. Frank dreams of completing college and getting a job as a tailor making clothes. Joshua Bannor is from Kokrobite Beach, Ghana where there is an expanding tourism industry. When Joshua completes high school, he hopes to attend University where he can further his language skills in English and French and better communicate with the tourists in his community. Joshua desires to be an instructor for surfing, drumming, and dancing – three of his biggest passions. He lives with 11 others and the current household income limits his available resources, especially in education. The 2016 ISA Scholarship will assist him in furthering his education by paying for his school fees and books and allowing him to buy new surf equipment. Joshua says that surfing makes him feel free and he desires to share this freedom and passion with others as a surf instructor. Sixteen year-old Haitian surfer, Samuel Jules, is an active member of Surf Haiti. Samuel participates regularly in activities by cleaning the beaches, mentoring new members, and teaching swimming and surfing. He is the eldest of his three siblings, all of which surf. The family’s income is not able to support all children’s’ education which is where the 2016 ISA Scholarship will come into play. The 2016 ISA Scholarship will open doors for Samuel by providing financial assistance to continue his schooling and buy new surf equipment. Samuel dreams of one day combining his passion with his career by having a job in the surf industry. Surfing has inspired sixteen-year-old Ronald Lafond to have good behavior, stay focused in school, and follow his passions. Ronald works hard to succeed in school with the hopes that he can one day attend University and become an engineer. The 2016 ISA Scholarship will help to pay for Ronald’s schooling and put him on track to achieve his dream. From beach cleanups to mentoring new members in their surfing ability, Ronald actively participates in all activities organized by Surf Haiti. Eighteen-year-old Frantzy Andris has been a huge contribution to the success and growth of Surf Haiti. Frantzy tackles every challenge with a smile and is an inspiration to other surfers his age by demonstrating that you can enjoy surfing no matter what kind of board you ride. Due to financial hardships, Frantzy has not been able to get the quality education that he desires. However, now with the aid of the ISA Scholarship, Frantzy will be able to improve his educational opportunities with the hope of one day becoming an architect. At the young age of eighteen, Guy Alex Jean is the Vice President of Surf Haiti and is an exemplary role model to other surfers in his community of Kabik (near Jacmel, Haiti). In order to better his future and the financial situation of his family, Guy works an assortment of jobs including being a server at a restaurant/bar, a surf tour guide, English translator, and many more. With the financial help of the 2016 ISA Scholarship, Guy can focus more of his time on his studies so that he can one day fulfill his dream of becoming a doctor. Raju Silvadasan is from a small fishing village near Kovalam in India. Most boys Raju’s age neglect their studies in order to work and financially help their family. Six years ago, a social worker from Sebastian Indian Social Projects (SISP) visited Raju’s town and instilled in him the importance of a continued education. Through SISP and the Kovalam Surfclub, Raju is provided with surfboards to use at his leisure as long as he remains in school. Education is his motivation to continue his passion for surfing. Raju is currently preparing to take his 10th standard state exam so that he can enroll in the Engineering University of Kerala. The Indian government is currently planning on constructing an industrial harbor in the town of Kovalam that will expand the job opportunities in the area, especially for engineers. The standard state exam is a very expensive exam and one that Raju is unable to afford without the help of the 2016 ISA Scholarship. We wish Raju the best of luck on this exam and his journey to become an engineer! Clinton Fredy is a seventeen-year-old who loves to learn. Like most of his peers, Fredy dropped out of school at an early age and until several years ago, lacked a role model or any motivation to re-enroll in school. Then, a teacher from Sebastian Indian Social Projects (SISP) approached Clinton and convinced him to join their school. Through SISP, Clinton learned about the Kovalam Surfclub and began surfing. He was inspired by several of his surfing peers to attend an ISA Coaching Course and will be using the 2016 ISA Scholarship funds to enroll in this course. According to Clinton, surfing is the best way to wash away her stress and worries and bring back joy into your life. Until 2012, Sinchana D Gowda’s only contact with surfing had been through video clips on TV. Then in 2012, Sinchana’s swimming coach, Mr. Partha Varanashi, taught her how to surf on the beaches of Mangalore. Sinchana is now the top ranking surfer in India in the 14 & under division. The sport is very expensive in India and her mother is unable to support her financially. She plans to use the 2016 ISA scholarship money to buy her very own surfboard. With her little experience as a surfer, she has already proved herself as a talented surfer by winning three gold medals in surf competitions in India. She has a bright future ahead! Selah McPhail of Kingston, Jamaica is an active member of the Jamaica Surfing Association. Selah has been surfing for several years and has competed in all of the Amateur ‘Grom’ events run by the Jamnesia Surf Club. Although Selah has not been surfing as long as some of his peers, he makes his presence known through his determination to improve with every session. Selah has a strong family foundation, and his parents emphasize the importance of schooling, making good grades a prerequisite for surfing on the weekends. As such, Selah has excelled in both fields and continues to be a force to be reckoned with in both the line up and the classroom. Selah plans to use the ISA Scholarship to fund his education and further his surfing skills. Kaishu Yamamoto is a thirteen-year-old surfer from Japan. Kaishu is currently in junior high where he is having to purchase new school uniforms, bags, books, and other educational fees that are very expensive for his family. The 2016 ISA Scholarship will help Kaishu’s family cover these educational costs and will also help alleviate some of his contest fees. According to Kaishu’s surf coach, Kaishu is a role model for his peers who is very hungry to win and improve his skills. Eighteen-year-old Baecker Badrouddine Adrianirina hails from the island nation of Madagascar. Currently, the sport of Surfing is in the very early development stages in Madagascar so access to equipment and resources is extremely limited. Baecker dreams of putting Madagascar on the global surfing stage and uplifting the sport in his country. He plans on attending college and then working to spread the sport of Surfing across the coastline of Madagascar. Aboubakr Bouaouda (aka Boubker) is a seventeen-year-old surfer from the North African country of Morocco. He has been the reigning Moroccan Surf Champion since 2012 and is considered the best Moroccan surfer of his generation. He has overcome a lot of adversity in his life as a young orphan that was raised by his brother. His adversities instill a drive in him to become a better student and surfer. According to Boubker, “surfing is like drinking water, you need to drink water to stay alive.” Morocco does not currently have the training structure that would be necessary to take Boubker’s surfing to the next level. With the 2016 ISA Scholarship, Boubker will be able to train and compete in Europe where he can further advance his skills. He also wishes to transfer schools where he can achieve a higher level of schooling that can prepare him for University. The Kintscher triplets, Lars, Nils, and Sören, are Namibia’s next generation of surfing talent. All three boys are active in sports and can be found surfing whenever they get the opportunity. With Nils winning the ISA Scholarship in 2013 and Sören winning in 2014, Lars is the third of the triplets to be awarded the ISA Scholarship to better his surfing and educational future. Lars plans to purchase a new surfboard and wetsuit so that he can keep up with his brothers and continue his passion for surfing. Pursuing an active lifestyle, Lars also enjoys swimming, playing squash and riding his bicycle. His favorite surf spot is Pebbles in Swakopmund. Erick Cruz is a sixteen-year-old surfer from Nicaragua. He has grown up in very tough financial circumstances and works at a surf camp in order to buy food to support his family of 5. According to Sean Pearson, owner of the Playgrounds Surf Camp and fellow ISA Competitor, Erick is a very hard working individual with a passion and natural talent for surfing. The ISA Scholarship will aid him in his travels to contests in Nicaragua and future ISA World Championships. At fourteen years of age, Daniella Rosas Vega is a very motivated human being with goals of becoming World Champion. According to Daniella, “Surfing for me is everything, it is my life, my time to relax, my time to spend with friends. I dream of the surfing at night and it consumes my thoughts during the day. Surfing improves my life in many ways, respecting others, being kind when you win a championship, and helping others improve their surfing”. The 2016 ISA Scholarship will help Daniella attain her educational goals as well as help her progress her level of surfing. Samukelisiswe Cele grew up surfing in Durban, South Africa with a fierce determination to be the best surfer she could. Sam Cele is a part of a small group of Zulu girls that surf and she desires to be a role model in her community by encouraging other Zulu girls to pursue surfing. At age sixteen, Sam has persevered as a surfer and has always remained positive and optimistic even when faced with the most difficult challenges. Her dream is to represent Surfing South Africa at the ISA World Junior Surfing Championship like her friend and fellow ISA Scholarship winner, Ntando Msibi did in 2014 and 2015. The 2016 ISA Scholarship will allow her to compete and train more to help her achieve this dream. Paul Sampson Chudleigh moved to the beach in Cape Town, South Africa when he was nine years old. He went through a season living on the streets and one day borrowed a board from a stranger and experienced surfing for the first time. Paul said this made him feel free and from that moment, he knew that he wanted to surf as much as possible. When Paul was eleven years old, his mother passed away resulting in Paul being adopted. His new family was full of avid surfers that provided him with all the necessary gear to further his passion. He has been home-schooled by his adopted family and hopes to make a living off surfing when he is older. The 2016 ISA Scholarship Award will help him purchase books, surf equipment, and travel fees. Fifteen-year-old Angelo Faulkner lives in the wave-rich city of Jeffrey’s Bay with his mother, grandmother, and brother. When he is not in school, Angelo can most likely be found surfing at Kitchen Windows or one of the other waves in Jeffrey’s Bay. Angelo desires to finish high school and go to college to study business management. He says that he is thankful that Surfing has taken him to different places in the country and has kept him on a good path away from temptations. Angelo plans on using the ISA scholarship to facilitate his education, pay for contest entry fees, and buy a new wetsuit. For Colbert Villanueva Stanley, surfing has changed his life and is continuing to have an influence on his future. Colbert, now eighteen, loves to surf but discovered that he also has a passion for teaching the sport to others, especially to children. Colbert plans to go to University to become an Image and Sound Engineer or an IT Technician. In order to support himself during that time, Colbert plans to work as a Surf Coach and the 2016 ISA Scholarship will grant him the ISA Level 1 Surf Coaching Course. This certification will allow him to become certified at the international standard of safety, quality, and efficacy and seek employment as a surf coach. Colbert desires to share his passion and help others improve their surfing abilities. Elton John lives in humble circumstances in the rural seaside community of Balandra, Trinidad and Tobago. Elton and his brother Jyiell, both two-time ISA Scholarship Winners, live in a household with 12 other individuals and are faced with financial insecurity and challenging domestic situations. Despite these challenges, Elton continues to work hard and be dedicated to his surfing and studies. Jyiell Lewis is a two-time ISA Scholarship Recipient from Trinidad and Tobago. Surfing has kept Jyiell off the streets in a community where there are high levels of primary school delinquency, drugs, and domestic violence. In 2015, Jyiell finished first in the Junior Division and fourth in the Open Men’s at the Trinidad and Tobago Nationals. He continues to overcome challenging situations to develop his surfing ability and keep up his grades at school. Leon Arman Kapcik is from Turkey and learned to surf on borrowed equipment when he was nine years old with the guidance of some more experienced surfers in Turkey. Last year, Leon entered a surf competition in Turkey and won the youngest surfer award. Leon’s dream is to become a professional surfer and surf waves in Hawaii and Fiji. He has been using his brother’s surfboard and wetsuit but is eager to have his own gear. The ISA scholarship will help him buy his own surfboard and surf equipment and continue to improve his surfing in order to reach his goal. Sixteen-year-old surfer Agustin Zanotta lives with his dad and brother in Uruguay. Agustin’s mother passed away when he was ten years old and this heartbreaking moment forced Agustin to grow up quickly. Agustin has overcome this tragic time and has grown into a strong individual who is determined to succeed in surfing and in life. In 2015 Agustin qualified for the ISA World Junior Surfing Championships but was unable to attend due to attend due to financial hardship. His 2016 ISA Scholarship will help him to travel to the upcoming ISA World Championships. Daniel Piña hails from a small fishing village in Venezuela and is currently the top ranked surfer in his age group on the Venezuelan National Circuit. Family is very important to Daniel and he lives by the motto: “Families who surfs together stays together”. Last year Daniel qualified to represent Venezuela in the ISA World Junior Surfing Championship but was unable to attend due to the inability to afford the travel costs. With the assistance of the 2016 ISA Scholarship Award, Daniel hopes to be able to represent his country in future ISA World Championships. Seventeen-year-old Sebbih Abdelhak is eager to expand his training and he dreams of traveling to get surf lessons overseas. With the 2014 ISA Scholarship Award, Sebbih will purchase a new wetsuit and a surfboard so he can practice more often using his own equipment. He aspires to compete to make his surf community and his nation proud. Additionally, Sebbih desires to continue his studies and would love to get a college degree, which for him would be the ultimate reward. Belabbes-nabi Amine is a member of the Djazair Surf Club in Algeria where he trains rigorously to improve his surfing. He hopes to gain a sponsorship for surfing one day, so he can use his funds towards education, instead of having to buy surf equipment. Belabbes-nabi tackles every assignment with dedication and a smile and dreams of completing his college studies. He plans to use his 2014 ISA Scholarship Award to purchase surf equipment and would like to use the funds to further his education. Oughideni Mohamed is an eighteen-year-old surfer from Algeria. He has trained for several years at the Djazair Surf Club and hopes to be noticed by future sponsors so that he can continue his dream of traveling and surfing overseas. Oughideni is dedicated to using his funds to pursue his education and to improve his surfing so he can one day compete at an international level. He is highly motivated and his peers and mentors speak very highly of his dedication and love for the sport of surfing. Thirteen-year-old Biana Schipani is a two-time ISA Scholarship Award Recipient. Bianca trains three times a day to strengthen her maneuvers and accomplish her dreams of being the first woman in her category to complete an air. Her coach exclaims that, "She is always eager to learn, is constantly smiling, very motivated, and has much respect regarding for the sea and the conditions." She will use her 2014 ISA Scholarship Award to continue her training and hopes to one day represent Argentina in an ISA World Championship. The 2013 ISA Scholarship Award gave twelve-year-old Kauê Germano the opportunity to pay the entry fees for his state and national tours. Over the year, Kauê has significantly improved his competition results and will continue to do so with the funding from the 2014 ISA Scholarship Award. By the end of 2015, he aspires to finish in the elite group of Under-14 Brazilian surfers. As a recipient of the 2013 ISA Scholarship, Vinícius Parra used his award to compete in the Sao Paulo State Federation Tour and the Rip Curl Grom Search. Vinícius expanded his competition experience and will continue to do so with the 2014 ISA Scholarship Award. He dreams of one day representing Brazil in the ISA World Junior Surfing Championship. Amaya Merino began surfing four years ago in Chile. Now at age seventeen, Amaya is ranked 10th in her country of Chile and desires to continue to train and improve her fitness level. She is passionate about traveling and hopes to one day travel overseas to surf new waves, experience new cultures, and meet new people. In her words, she would love to use the ISA Scholarship to "open doors in life". Diego Elias Cabezas Vidal is only ten years young and has already received national exposure from one of the largest surf magazines in Chile. Diego displays tremendous discipline as he goes to bed early each night, wakes up first thing in the morning to train, and studies hard during the week to ensure he has time to surf on the weekend. He is motivated, responsible, and tremendously passionate. Keep your eyes peeled for this young up and comer! Fifteen-year-old Josefina has grown up surfing Wolf Point, Pichilemu, with her five brothers. This year, Josefina will be progressing her skills by surfing Punta de Lobos, a larger and more demanding wave. With rigorous training, she hopes to represent the Chilean National Team at the 2015 ISA World Junior Surfing Championship. When Edgardo Herazo is not in school, you can find him either training at his local beach to improve his surfing skills, or studying to further his education. He studies each night to keep organized and on top of his school work because he knows the importance of a good education. Edgardo will be using the 2014 ISA Scholarship Award to complete his high school studies and to get himself a new bodyboard. Seventeen-year-old Jawer is a role model for future generations of Colombian surfers. His passion for school and surfing is unparalleled and he is always eager to learn. Despite financial difficulties, Jawer has remained in second place of the national circuit. With the help of the 2014 ISA Scholarship, Jawer will be able to support his family and further his surfing aspirations. Santiago is a member of the Wiwa indigenous community based in the mountains of Northern Colombia. After a year of being an ISA Ambassador, Santiago has been able to successfully stay in school where he was able to improve his Spanish speaking and writing. Santiago was also able to achieve excellent results in local and national competitions and will continue to do so with the financial support of the 2014 ISA Scholarship Award. The funds will also be used to pay for transportation, food, and uniforms for school. As an outstanding student and an avid surfer, Juan José dreams to one day surf Hawaii. Juan knows how to dream big, as he strives to become the world’s best surfer and also a music star. Juan had to learn how to surf standing on a bodyboard, but thanks to the ISA Scholarship, he will be able to buy a surfboard in order to chase his dream. Axel Castro Bolivar is only nine years old, but dreams big! He aspires to be the National Grom Champion of Costa Rica, then he would like to go on to win the National Open Championship, and eventually he would like to train hard to be a future world champion. With the ISA Scholarship Award he will use the funds to compete in eight national surfing events, get himself some new surfing equipment, and use the rest of the funds on his education. 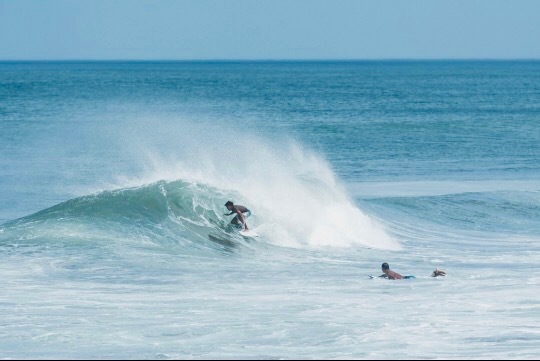 Thanks to his first year as an ISA Scholarship winner in 2013, Esteban was able to give a great push to his surfing career by being able to compete in the Costa Rican National Championships. This is the first step in following his dream to becoming a professional surfer. Esteban is a proud ambassador for the ISA and understands the importance of a good education and a college degree. He enjoys meeting new people through surfing competitions and aspires to represent his nation. LiaRoan Reyes is in third grade, but is well beyond her years. Her first language is Spanish, however she speaks, reads, and writes English fluently. Not only is she an avid surfer that believes surfing should be fun and not stressful, but she also represents her school by participating on the swim team and the track team. According to LiaRoan, "I honor the people that believe in me. I am confident the ISA Scholarship will give me the opportunity to develop my talent, so I can represent my province, my country and the ISA with pride." 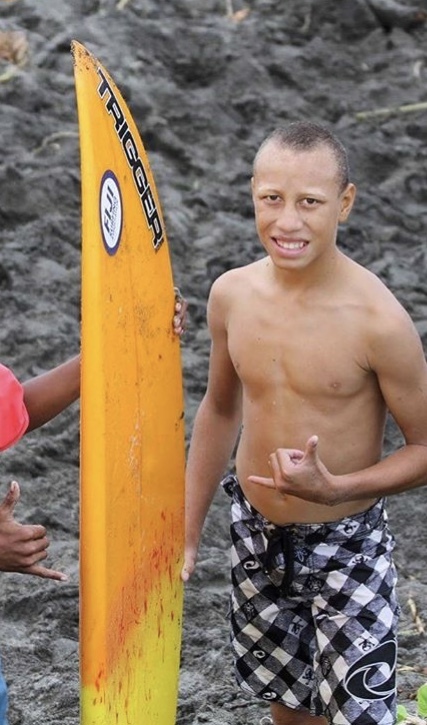 At eleven years old, Braulio Brito was given a bodyboard. He quickly learned to stand up on the bodyboard and fell in love with surfing. Braulio also takes his studying very seriously and and aspires to obtain a law degree in the future. He is very close with his family and enjoys surfing when there are waves. Santiago Joel Bowen is fifteen years old and his major passions are bodyboarding and school. He wants to be able to focus on both his bodyboarding skills and his studies, while avoiding falling into bad habits that affect many youth. He dreams of the possibility to represent his country one day by being a proud ambassador for the ISA. Surfing runs in Daniel Flores’ family. Through the years, his parents have supported his passion; however, he has been unable to grow to his full potential without the funds to compete in many national and international competitions. With the help of the 2014 ISA Scholarship Award, Daniel will be able to buy new school equipment and be able to compete in surf competitions, where he dreams of making his family and his nation proud. Esnaider Alfredo Parrales Zambrano is currently competing on Ecuador’s National Junior Circuit. However, he has been unable to attend many events, which is restraining his progress as a competitive athlete. The ISA Scholarship will not only help ease the economic burden of Esneider's education, but it will also help with traveling expenses for upcoming competitions. Esnaider takes pride in his surfing and looks forward to representing the ISA. Narvi Rokete is currently attending the Fiji Surfing Association Nippers program on a weekly basis and he enjoys sharing his passion for the sea by teaching younger surfers what he has learned. In addition to surfing, Narvi competes in the competitive rugby union at his school. With the 2014 ISA Scholarship, Narvi plans on putting the money towards surfing equipment, his education, tournaments, transportation to the waves,and helping other Fijian youth with their surfing development. Timoci Tomeru is a young and motivated surfer from Fiji who enjoys meeting other surfers from around the world. He is a dedicated student who puts his education first, but enjoys surfing the near-by break three or four times a week. 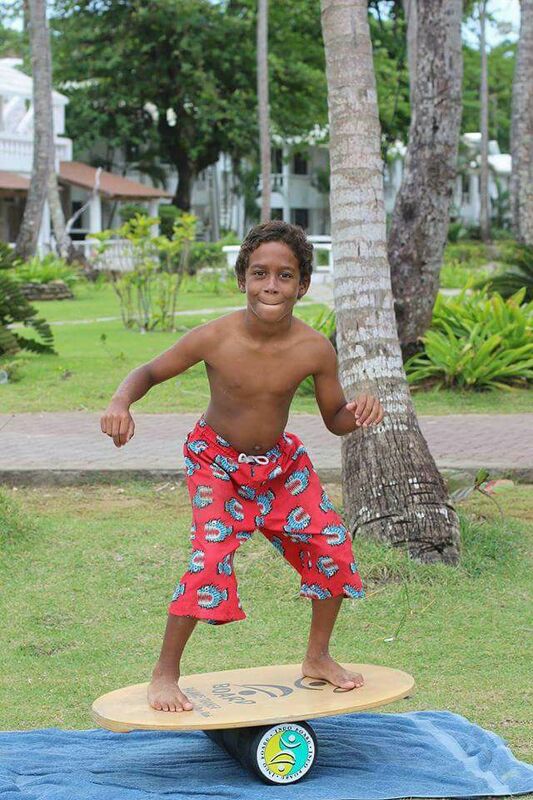 Timoci aims to harness his skills and would like to one day and become the best surfer in Fiji. Ticomi plans to use the 2014 ISA Scholarship for surf equipment and for boat transportation to get to some of the waves at the outer reefs. The Gambia’s most dominant sport is soccer and Momodou Lamine Saine is an active participant, but when he started surfing, he realized that he found his new passion. Momodou would like to help develop the sport of surfing in his country and dreams of representing The Gambia at major international surfing events. He prides himself on being an ambassador for the ISA and is very grateful for the 2014 ISA Scholarship opportunity. Since Fatou Ndong discovered surfing she knew it was “her thing”. She would love to see surfing become an Olympic Sport and dreams of represent her country. Fatou prides herself in becoming an ambassador for her nation and role model to her peers. Surfing makes her happy and keeps her healthy. She is proud to share the sport with her friends and the other youth of her community. Kebba Sarr, a thirteen-year-old surfer from The Gambia, dreams of one day representing his country in the Olympics. He lives in a village close to the beach with nice waves to progress his surfing; however, he currently lacks the equipment to do so. The 2014 ISA Scholarship will provide Kebba with a surfboard and allow him to continue his education. Kebba looks forward to developing her surfing skills and doing well in school so she can make her family and her community proud. Lilly von Treuenfels is an ambitious fifteen-year-old surfer. She was born in South Africa, but lives in Germany and prides herself in being one of a handful of girls that are surfing in Germany. She learned to surf in 2009 during a long stay in Barbados and she was immediately hooked. Since then she has become part of the German National Surf Team and has competed at the World Junior Surfing Championships in Ecuador. Lilly is very passionate about ocean conservation and protecting our beaches. Additionally, she has written a book about learning to surf and has been featured on national television As an ISA Ambassador she would like to make surfing more popular in Germany and spread the word about protecting the coastlines. Emmanuel Ansah is seventeen years old and comes from a small village on the west coast of Ghana called Busua. Emmanuel loves surfing and tries to surf 2-3 hours every day. He has participated in local competitions and won several of them. The 2014 ISA Scholarship will give him the chance to continue his education while improving his surfing abilities. In his words he says that, "I would be very happy if I was given the 2014 ISA Scholarship because it would give me a chance to get a good education so that I can get a good job and also help my family. I am also going to continue to improve my surfing so I can train younger surfers in the future." 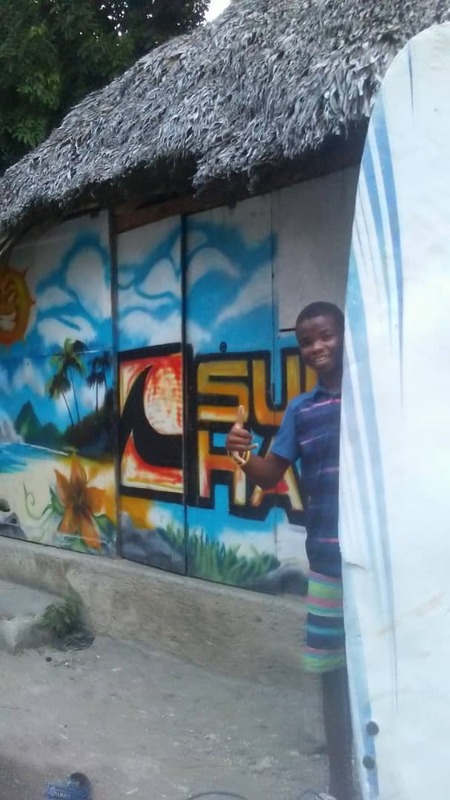 Thirteen-year-old Emmanuel Koomson has never owned his own surfboard. He originally learned to surf on a board that he borrowed from a European tourist and he has progressed his surfing by riding surfboards that he borrows from a local surf shop in exchange for cleaning their shop front. He recently surprised local Ghanaian surfers when he placed 2nd in a local competition on a borrowed board. Emmanuel is a dedicated student and is focused on moving forward with his education and his surfing. Anthony Rabbi Hemans started surfing thanks to his Uncle Peter who would push him into the waves in the warm waters of Busua. Anthony wants to become a professional surfer and one of the best in the world. When there aren’t waves for Anthony to surf, he enjoys spending his time studying and helping out fellow classmates with their school work. Being an active competitive surfer in his country for almost three years, fourteen-year-old Lester Hernandez has shown great performance and participated in as many surf competitions as possible. Lester’s peers recognize him for his good behavior, teamwork, and hard-working attitude. His passion for surfing has developed in him a competitive edge that has helped him to excel academically and in other sports. The 2014 ISA Scholarship will help him to keep improving his education and continue participating in surf events. Ten-year-old Jose Marroquin Oqueli, is a hard working student. He does his best at school to make his mother proud and honor her efforts to pay for his attendance. He really enjoys surfing and is excited to be able to further his efforts in both school and surfing with the help of the 2014 ISA scholarship. Jose Orozco Lopez is a seventeen-year-old surfer from Guatemala. He has competed in as many surf competitions as possible, including the Guatemalan National Championship for the past two years. Jose has a great interest in surfing and the 2014 ISA Scholarship will aid in the continued improvement of his education and competitive surfing. Hailing from Tangeran, Indonesia, a city without quality local surf breaks, eighteen-year-old Sabina Chinantya Anzaltha has made consistent effort to improve her surfing. On the weekends when Sabina does not have exams to study for, she goes to the beach to practice. With the aid of the 2014 ISA Scholarship, she will be able to continue training and improving her surfing skills while also reducing the costs for her family. Sabina also plans to donate some of her 2014 ISA Scholarship money to a local surf organization. Iyan Herdiyanto is a sixteen-year-old Indonesian surfer from the Southeastern coast of Java. Iyan began surfing when he was only eight years old with the help of his older brother Didin Hermawan. He currently gets support for his education and surfing from SPORA, the School of Water Sports and Safety in Pangandaran. The 2014 ISA Scholarship will help this local surfer compete in Indonesian contests, upgrade his education, and support his family. Fifteen-year-old, Vijin Fernandas comes from a small town in Kenia, India. Despite coming from a difficult background, Vijin has an incredible drive for learning, surfing, and having fun. As one of the top surfers in the Kovalam Surf Club, Vijn serves as a role model for all the surfers in his community. Vijn’s determination and no-nonsense approach of charging big waves will create many opportunities for him in the future. While he would love to make a living out of surfing, he also has big dreams to do Computer Studies as this will create many future opportunities in his country. Fourteen-year-old Sakunthala Hanumanthapa has overcome many obstacles as the only female surfer in the Kovalam Surf Club. Saku, as her friends know her, is breaking down boundaries and acting as a role model for other girls to begin surfing. She has big ambitions to become a fashion designer and plans to use the 2014 ISA Scholarship to continue surfing and pursue her fashion dreams. Eighteen-year-old Kivins Pushpalilly is an outstanding person, surfer, and student. He has been surfing for over nine years with the support of the Kovalam Surf Club and has show tremendous talent in and out in the water. He is also a straight-A student and at the top of his class. The 2014 ISA Scholarship will aid Kivins in his engineering studies at university and help him to continue to develop as a surfer and role model in his community. As a 13 year-old student/surfer, Sneha has big plans for her life. “In the future my aspiration is to become a world renowned astrophysicist”, she said. Sneha’s source of inspiration for surfing are Bethany Hamilton and her surf coach, from whom she has learned that surfing is more than just riding waves. She wants to be a role model for her friends and especially to her seven year-old little brother. The ISA Scholarship Program will help her achieve her goals. Nick Robinson was introduced to his favorite sport of surfing when he was seven years old. From this young age, his father instilled in him a sense of commitment and a value for education. Nick, now seventeen years old, is about to enter his 12th grade year of school and plans to use the 2014 ISA Scholarship to pay for his increased school expenses. After finishing all of his homework, Nick loves to go surfing with his friends and relax his mind. Shatwain Wright, nicknamed “Pookie” by his peers, is a fourteen-year-old Jamaican surfer who is a leader in his community. He has a passion for sports and outside of surfing he participates in football, basketball, and lacrosse. Pookie leaves his mark wherever he goes and has learned that a healthy balance of surfing, education, and chores around the home are essential to building his character. The 2014 ISA Scholarship will assist Shatwain’s family to pay for his surfing and schooling and be an incentive for him to keep up the good work. Yuki is sixteen years old. After the tsunami tragedy in Japan, he and his family moved to Chiba Ichinomia, the prime surfing area of Japan. Yuki started surfing at the age of seven at his hometown Sendai, but when he arrived at his new town he realized how much work would take to excel at surfing. He is very organized and is already working on a plan to achieve his goal of becoming a pro surfer. The 2014 ISA Scholarship Program will help him cope with his training and coaching expenses. Irene Armstrong is one of the first female surfers of Liberia. She has competed in the Liberian Surfing Championships for the last few years and really loves the sport. Irene is a great surfing ambassador; she’s been encouraging all her friends to start surfing. With the ISA Scholarship Program’s aid Irene would be able to continue improving her education, and pursue her dream of becoming a nurse. Otu Commey is sixteen years old and is an up and coming surfer from Liberia. He really wants to improve his surfing and use his surfing as a tool to get an education. 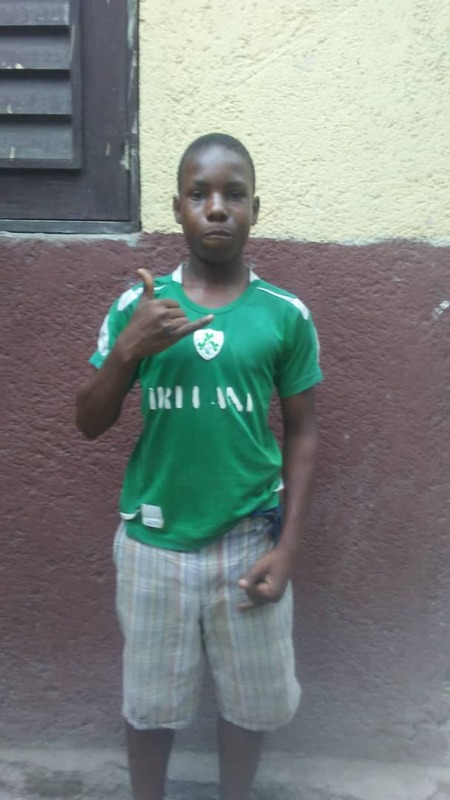 He is currently in 9th grade and wants to graduate from high school and go to college in Monrovia. With the ISA Scholarship Program’s aid, Otu will strive to meet all his goals due to his drive and will to achieve his objectives. Esther strives to continue her educated, finish high school, and attend a university to help her brother and the surf club she belongs to. “I surf on the weekends when I am not in school, and I encourage my friends to surf with me. Surfing has changed my life and I hope it will bring me more opportunities in the future to travel and surf nation-wide.” At sixteen years of age, she puts her education first and hopes for a better future. Mariyam is one of the few female surfers from the island of Male. When Mariyam scored well on an exam, her parents rewarded her by enrolling her in Malhu Surf School. In her words, "The feeling of happiness that I get through surfing cannot be described." The passion was instant. The 2014 ISA Scholarship will give Mariyam the financial means to continue her education and the means to continue excelling in her new passion. Ayshan is from the Maldives. She is twelve years old and has been encouraged by her family members to get involved in water sports since she was a little kid. Furthermore, Ayshan has been a member of the inter-school swimming team since 2011. The ISA Scholarship Program is a motivation for her to keep up the good work both in waters ports and in school. Joshua lives in Rosarito, Mexico. At eleven years of age, he already has competed in several tournaments. Joshua is also a member of the volleyball team and is very committed to sports. The 2014 ISA Scholarship will help him to continue improving his education and surfing skills. Luis started surfing when he was eight years old at Revolcadero Beach in Guerrero, Mexico. He began surfing with the help of a friend and a local shaper. Since then, he has participated in several contests and championships. Luis’s father used to be a surfer in the 80’s, and has been a big support for him. The 2014 ISA Scholarship will be a source of further motivation for him on his way to success. Jose Manuel is an eighteen-year-old surfer from Ensenada, Mexico. He loves math because he likes to work hard to solve problems. In 2012, Jose Manuel was the State Junior Champion and went to the National Championships. “I truly appreciate to have this unique opportunity in order to continue in my studies and my favorite sport of surfing.” He said.Jose aspires to be a civil engineer and build a career in naval construction while continuing to further his surfing future. The 2014 ISA Scholarship will help him achieve those goals. At fourteen years of age, Valeria works hard to balance, home shores, school duties, and surfing in her life. “I love school and my goal is very clear. I want to go and represent my country on the next ISA World Junior World Championship,” said Valeria. She recognizes that education will give her the opportunity to let her community know that surfing has been a good influence for her. Seventeen-year-old Namibian surfer Nikolai Hof has found many adventures and challenges out in the ocean. By giving his best at everything he does, Nikolai has excelled in bodyboarding, fist ball, and whatever he’s set his mind to. Living in Swakopmund, Namibia, he is surrounded by a plethora of waves including the infamous Skeleton Bay where Nikolai has logged a quality amount of time in the barrel. When he finishes school in Namibia, Nikolai plans to study in Cape Town and continue his surfing adventure there. Getting surf equipment in Namibia is often difficult due to the high import costs and the 2014 ISA Scholarship will help Nikolai buy new equipment and charge more waves. David Adeyemi is eighteen years old and is considered a very good surfer in his community. He needs the 2014 ISA Scholarship's financial aid to be able to receive a good education, and help cover the expenses of becoming a professional surfer. David aspires to become the best surfer in Africa. Seun Williams Blessing, a sevententeen-year-old surfer form Lago, Nigeria, is considered the “queen of surfing in her community.” Appropriately given her last name, Seun is a “Blessing” to the people of her community and loves teaching others the sport that she loves. She is a mentor for the youth and a proud ambassador for Nigerian Surfing. The 2014 ISA Scholarship will help her to pay for school and continued surf lessons. Omololu is eighteen years old, and wants to be able to teach all his friends and the people of his community how surfing can change lives. He is very smart, his teacher and friends refer to him as “genius”. With the aid of the 2014 ISA Scholarship, Omololu will have the opportunity to keep pursuing his personal objectives. Fourteen year-old Aimee just moved away from her family to attend school in Auckland, New Zealand. She is very keen on sports and has been surfing for several years. When she is at her house in the Great Barrier, she goes surfing every opportunity that she has. With the 2014 ISA Scholarship, she will be able to keep improving her education and surfing skills. Lourdes is now fifteen years old and lives in the town of Playa Santa Catalina, Panama. At age thirteen, Lourdes was fortunate to represent Team Panama in the 2013 ISA Junior World Surfing Championships. Lourdes says, “I look forward to the opportunity and responsibility of becoming an official ‘ISA Scholarship Ambassador’.” The 2014 ISA Scholarship will help her ease the financial load of school on her parents, so she can keep participating in national and international events. Jose Luis is eighteen years old and wants to be awarded with the 2014 ISA Scholarship so he can complete the last stages of the national circuit and the Discovering Surfing Talent Circuit taking place in Panama. Jose plans on spending the 2014 ISA Scholarship funds on school transportation, nutrition, contest expenses, and surfing gear. Growing up in Huanchaco, Peru, a town blessed with rich ties to the sea and innate surfing talent, seventeen-year-old Walter Blas Rodriguez naturally came to love the ocean and surfing. He learned to surf when he was ten years old on a broken old board with the help of a local surf school. At age thirteen, Walter won his first contest which began his passion for competitive surfing. He currently aspires to compete in both national and international competitions with the help of the 2014 ISA Scholarship funds. Walter currently holds a job in a local surf school and helps mentor and train underprivileged kids who are in the same situation that he was. Gonzalo enjoys surfing in his home break in the city of Punta Negra, Peru. The eleven year-old grom fell in love with the sport since the moment he first tried it. Nowadays, Gonzalo considers surfing his life. Struggling with a medical condition has not stopped him from paddling out for surfing. The 2014 ISA Scholarship will be one more contribution to Gonzalo’s well being by allowing him to keep practicing the sport he loves. Hailing from the cold waters of Cape Town, South Africa, fourteen-year-old Jaro Conradie has a hard time imagining his life without surfing. He is an avid free surfer and this year he won his first U16 surf contest, the 2014 South African Grommet Games in Port Elizabeth. Training hard has improved Jaro’s confidence and he recently represented the Western Province at the South African Championships in October. The 2014 ISA Scholarship will help Jaro continue to compete in contests across South Africa, as well as help him to pay for his education. At his school, he also plays cricket and is involved in community projects. If you are looking for fifteen-year-old South African surfer Joshe Faulkner, you are more than likely to find him in the water at Kitchen Windows in Jeffrey’s Bay. Growing up in Pellsrus, a township a stone’s throw away from the world’s premier right-hand pointbreak of Jeffrey’s Bay, Joshe’s backhand surfing and humble attitude are an inspiration and an example to members of his community. Joshe’s surfing has given him hope and the opportunity to rise above his circumstances and achieve a better life. Filled with nervous excitement, Joshe got an airplane for the first time this year and traveled to Ecuador to represent South Africa at the 2014 ISA World Junior Surfing Championships. This opportunity expanded his worldview and gave him a desire to push his surfing and education further, which will be enhanced by the 2014 ISA Scholarship. Eighteen-year-old South African surfer Paci Irumva is very grateful for the impact that the sport of surfing has had on his life. When his brother’s friend introduced him to surfing, he fell in love with the ocean and it changed the direction his life was heading. Able to avoid the negative influences of drugs and crime, Paci has excelled in the water with his focus and determination. He is a natural athlete, competing in seven different sports in school. The 2014 ISA Scholarship will allow him to purchase his own surfboard and wetsuit and follow his wild dream of becoming a professional surfer. Seventeen-year-old South African surfer Ntando Msibi has seen incredible transformation in his life through the sport of surfing. Orphaned at a young age and growing up on the streets in Durban, he was mentored and taught to surf by the Surfers Not Street Children organization. Ntando left South Africa for the first time in his life to compete in the 2014 ISA World Junior Surfing Championships in Ecuador with the help of the 2013 ISA Scholarship. Receiving the ISA Scholarship in 2014 will further Ntando’s development as a student, a surfer, and an inspiration to others. Surfing has been a part of sixteen-year-old Colbert Stanley’s life ever since he caught his first wave when he was eight years old. Living in the Canary Islands, he is blessed with consistently good waves, which has helped his surfing to progress to its current level. The 2014 ISA Scholarship will help purchase a new surfboard and wetsuit so that he can continue to progress his surfing abilities. This is Elton John's second time winning the ISA Scholarship Award. Since first being awarded in 2012, Elton has improved his results in school but also knows that he has to work harder and study more. Elton surfs from 3pm to 6pm most evenings after school, and then goes home and do his chores and homework. In 2014, Daniel and his brother Jyiell got the chance to travel to Ecuador to represent Trinidad & Tobago in the ISA World Junior Surfing Championship. With the 2014 ISA Scholarship Award, he plans to improve his surfing and keep up the good work at school. Jyiell is sixteen years old and lives in a small fishing village in Trinidad called Rampanalgas. He received the ISA scholarship in 2012 and got to travel to Barbados to compete. He says the experience changed his life and the way he sees things around him. Presently he is the Junior National Champion of Trinidad & Tobago. Erkan Yilmaz, who’s name translates to “Dolphin”, is a thirteen-year-old surfer from Turkey who loves surfing and the ocean. Erkan desires to buy his own surfboard and wetsuit with the ISA Scholarship so that he can surf on his own and not rely on the equipment of his older surfing friends. With his own gear Erkan will be able to log significantly more time in the water and develop his surfing abilities. Tanner Ford, a fourteen-year-old honor student and up-and-coming surfer from San Diego, CA, has been surfing since he was eight years old. Along with competing in many surf contests, he is also actively involved in the community. He is a member of the Windansea Surf Club and has been involved with multiple other organizations that help kids who are fighting cancer. With the 2014 ISA Scholarship, Tanner plans to achieve a life long dream of traveling to Hawaii to surf and volunteer at the Mauli Ola Foundation where he will help kids with cancer experience the joy of surfing. Following in her the footsteps of her older brother Francisco, Delfina Morosini has developed a love of surfing and a desire to travel and compete in the sport. As a fourteen-year-old, Delfina won the Women’s Under 18 division on the Uruguayan National Tour but she was unable to compete in the 2014 ISA World Junior Surfing Championships due to lack of funding. Delfina surfs everyday after school with her family and friends and loves to be in the water. She will use the ISA Scholarship to continue competing and further her English studies. Leandro Arteaga, a sixteen-year-old surfer from Venezuela who is passionate about both his studies and his surfing. Coming from a family with no father, little income, and a sister with Down Syndrome, the only finance Leandro has is the limited amount that he receives from his grandmother. The 2014 ISA Scholarship will help him travel and compete as well as pay for school materials. Leandro is a top junior surfer and has aspirations to compete on the Latin American Alas Circuit. Motivated in and out of the water, fifteen-year-old Oswald Moreno is determined to change negative stereotypes of surfing by displaying the positive attributes of the sport. He pursues both his studies and his surfing wholeheartedly and believes that the 2014 ISA Scholarship will help him in this pursuit. With the money from the ISA, he intends not only to buy a new surfboard and accessories, but also to financially support his parents by funding his studies. Julian Iturralde is seventeen years old and is a member of the Association of Chubut surfers in Argentina. He commutes long distances to every contest and wants to dedicate his life to the sport of surfing. He plans to travel to other countries where his training can be taken to the next level. Bianca Schipani is thirteen years old and started surfing in 2012. Bianca wants to be one of the only women to pull an air, a trick that she believes very few women have succeeded at. She dreams of making her national team and participating throughout the world. 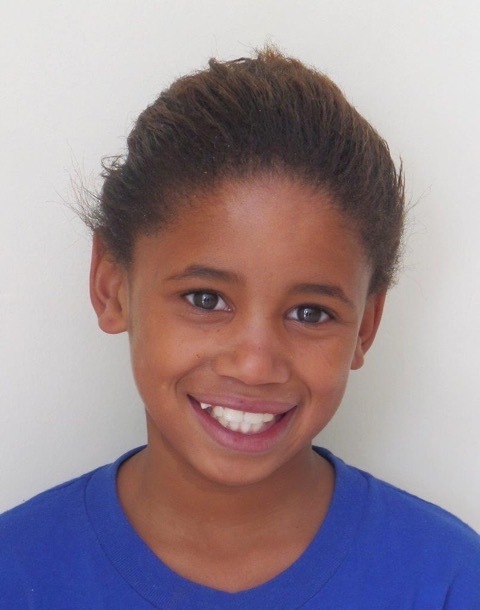 Bianca is very passionate about school and when she is not training, she is studying or hanging out with her family. Kaue Germano is a dedicated eleven-year-old surfer and student from Brazil. His "Golden Dream" is to be a top ranked competitor in his State Tour and in the National Brazilian Tour. Kaue hopes to someday represent Brazil in a future ISA event. Vinicius Parra has grown up competing in Brazil in surf club and city contests. He is eleven years old and strives to expand his range of competitions by participating in the State Sao Paulo Tour and the National CBS Tour. In doing so, Vinicius hopes to be noticed by future sponsors so that he can continue his dream of becoming a professional surfer. Bruno Santos is eleven years old and has been competing in surf contests for the last three years. He is very goal- oriented and always pushes himself to succeed in school as well as in surfing. Bruno dreams of participating in the ISA World Junior Surfing Championship within the next two years. Sixteen-year-old Laura Godoy contributes much of her success to the outstanding support she has received from her parents, her two brothers, and Viña Surfing Club, especially Paula Muñoz, the current Club President. The club has helped Laura compete in several championships including the National Women's Surf Ranking, where she recently ranked 8th. Christopher Rojas is a well-known name in Pichilemu, Chile. He has been in the water showing his perseverance and capacity to overcome obstacles since the young age of six. Christopher has won numerous Under 14 and Under 12 local, national, and various youth competitions. With the help of Casa Roja and Waitara Club, Christopher has been able to travel to many surfing competitions. Christopher is now twelve years old and one of the best students in his class. He is passionate about surfing and in order to learn and acquire more competition experience, he needs to travel and compete with other surfers. With the help of the ISA Scholarship, Christopher will be able to gain the competitive experience he needs. Trinidad Salas has the recipe for success: she is enthusiastic, persistent, and highly motivated. She gets much of her surfing influence from her father who she surfs and trains with on a daily basis. Trinidad is currently eleven years old, lives in Pichilemu, Chile, and is starting to compete in regional championships. After competing in the ISA World Junior Surfing Championships in Nicaragua this past year, fifteen-year-old Javiera Veliz strives to continue traveling the world to compete in National Circuit Championships. She plans to maintain her studies and her passion for education while competing internationally. Santiago Nakogui Barro is an inspiration and role model to many children in his indigenous community in Northern Columbia. Sixteen-year-old Santiago belongs to the Tayrona Surf Club, one of the oldest registered surf clubs in all of Colombia. He is the current Amateur Champion of Colombia, winning two out of the three national championships this year. Santiago continues to push the boundaries to expand his skills and plans to continue traveling and competing. Thirteen-year-old Santiago Mendoza chooses to overcome life's obstacles by focusing on surfing and school. When he is not training, Santiago can be found helping his father run his business at Casagrande Surf and Camp, a recreational camping and restaurant site near the ocean. Santiago recently won the National Amateur Competition held in Barranquilla and is the youngest to have ever won an amateur championship in Colombia. Estaban Chaves Morua's happiness stems from his mom and his friends who support and encourage him in surfing and in school. He is fifteen years old and enjoys traveling and competing not only because he furthers his surfing, but also because he gains valuable friends through his experiences. Eduardo Venegas is one of five brothers in his family. He is sixteen years old and plans to use the ISA Scholarship to pay for school for his four brothers and himself. Eduardo believes that although surfing is a fun sport, "education is essential to having a decent life." At the age of fifteen, Irons Burgos is a three time National Champion in Ecuador and is determined to travel the world to continue improving his surfing. He hopes to compete in NSSA and Pro Junior events in the near future and his dream is to be the first Ecuadorian to win a medal in an ISA World Championship. Michael Jordan Macías Viera’s is fourteen years old and his main priorities are his family, his education, and surfing. When he's not at the beach or helping around the house, you can find him watching surf videos of professional body boarders and studying their techniques. Michael has great enthusiasm for competitions and is excited to see his progress in future events. Fifteen-year-old Titouan Byer is originally from a small island in the Carribean. His extreme dedication to the sport of surfing has him moving to new locations each year in order to push the boundaries of his surfing and training. Titouan has big dreams for both his education and for surfing. He will begin college next year and will take the BAC exam in France in three years. Even with the high demands of college, Titouan will continue his training and competing in hopes on one day competing on the WCT. Sixteen-year-old Williams Alfredo Garcia Avila has successfully found a way to create balance in his life between school, friends, and competitive surfing. He has a rigorous training schedule for competitive surfing, working an average of three hours per training session. William's responsibility and discipline have allowed him to climb into the national ranking and occupy the podium three different times. Miguel Angel Castillo Pimentel aspires to be a professional surfer similar to his idols, Kelly Slater and Gabriel Medina, who continue to bring raw talent and innovation to the sport of surfing. Seventeen-year-old Miguel is the reigning National Champion in the Junior U18 category and is in the top six of the National Open Category in Guatemala. Miguel also continues to excel in his studies and hopes to finish his schooling in the near future. Bianca Macedo is a thirteen year old surfer who was born and raised in Maui, Hawaii. She has been surfing since she was two years old and has been surfing competitively since she was seven years old. This last year was the year that Bianca traveled to compete in the NSSA Hawaii Tour, Nationals, Regionals and the HSA Series. Bianca loves to surf and surfs every day with her brother. Her goal is to be apart of the Hawaiian National Team and do really well on the National stage. Sunshine Pately is thirteen years old from Kauai, Hawaii. She travels often with her family to Oahu and California to compete in various surf competitions. Sunshine enjoys surfing with her friends and the thrill of winning heats because it reiterates that hard training pays off. Keep your eyes peeled for Sunshine who will soon be ripping on a new John Pizel Surfboard. Anabella Yukojati is a role model to many. She is fifteen years old from Indonesia and has been described by her friends as "humorous, easy to get along with, and multi talented." When Yukojati is not surfing, she can be found playing guitar. She enjoys playing music because it is a chance to get all of her friends together to sing. Yukojati desires to be an icon for other young surfers to look up to. Ronald Hastings started surfing at the age of seven and instantly fell in love with the sport because it has the ability to clear his mind and keep him connected to nature. On the weekend, he enjoys going to the beach with his family and reading a book or doing a puzzle with his sister. Ronald's greatest life lesson came from his mother who taught him to "live a happy and peaceful life, while taking full advantage of your opportunities." 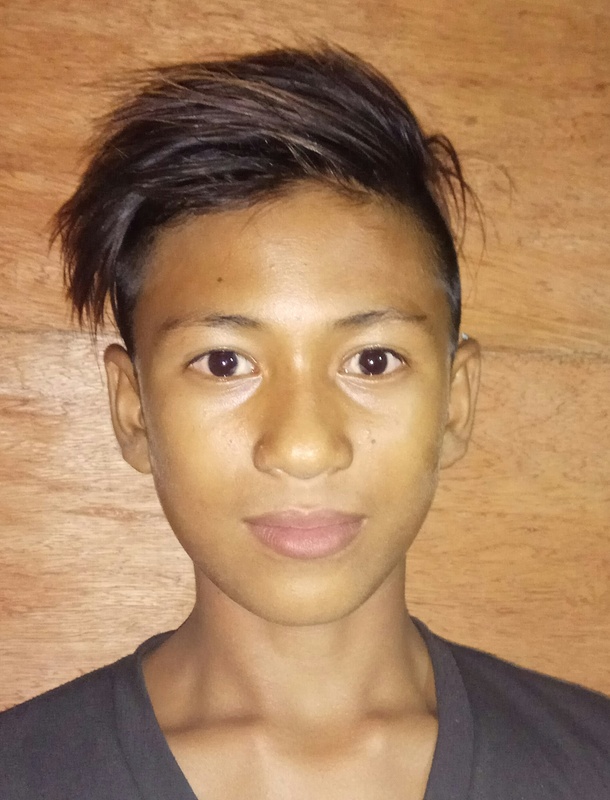 Ronald is now fourteen years old and dreams of being a professional surfer so he can tour the world and have the funding to further his education. Nathan Miller is a fourteen year old from Kingston, Jamaica. Nathan grew up admiring his father surfing. At age seven, he decided he wanted to pursue the same lifestyle. He enjoys summer time because he gets to surf every day at Jamnesia Surf Camp with other surfers his age. Nathan is also very passionate about school. His favorite subject is science because it gives him an understanding of the various wonders of the planet. Surfing has run in Ivah Wilmots's blood for four generations. Ivah and his family also run a surf camp on the beach in St. Andrew, Jamaica that surfers travel internationally to come stay at . His biggest surfing inspirations include Rob Machado and his brother, Inilek. Ivah is sixteen years old and attends Kingston College where he is studying Engineering. Some of his favorite subjects include art, technical drawing, and metal work. Once he completes college, Ivah hopes to use his technical drawing skills to start shaping surfboards. Adama Browne is a fourteen years old from Liberia. Benjamin McCrumuda, the President of the Liberian Surfing Federation, first taught Adama how to surf when he was eight years old. Adama gets the most thrill from riding big waves on a Rusty fish. He also enjoys reading, especially surf magazines, and would love to work with computers when he grows up. Surfing is the only sport that can satisfy sixteen-year-old Morris Gross' heart. Morris first learned how to surf regular foot but after realizing that there are only left hand breaks in his home town of Robertsport, Liberia, Morris taught himself to surf goofy foot as well. Outside of surfing, Morris is very passionate about his studies. He loves math and science and aspires to be an engineer when he grows up. Luis Rey Hernandez is the current Under 16 National Champion and according to the President of the Mexican Surfing Federation, "is one of the most promising Mexican surfers." Fourteen-year-old Luis' respectful nature makes him a wonderful candidate to be an ISA Ambassador. He plans on using his scholarship funds to further his education, for surfing equipment, contest fees, and transportation costs. Alejandro Meza is seventeen-years-old from the small village of San Juanico, Baja California Sur, Mexico. After finishing primary school, Alejandro decided to further his education by going to secondary school in a town 40 miles away. He lives with another family during the week while in school and travels back to San Juanico to surf on the weekends. Alejandro is one of the top students at his school and plans to attend college- a first for his family. Alejandro's ambition is contagious to all those around him and he dreams of surfing in the ISA World Junior Surfing Championship for Mexico. Nils Kintscher is the first born of his triplet brothers, all of which started surfing this past year in their home country of Namibia. Nils and his brothers are all very enthusiastic about surfing and have attended mini events and coaching sessions in their town. Nils loves the sea and wants to spend as much time as possible surfing with his brothers and his friends. He plans to use his scholarship funds to travel and for new surfing gear. Nick Tuhikarama is eleven years old and currently lives in Christchurch, New Zealand where he attends Shirley Boys High School. Nick has won the Cadet Title on his South Island Circuit in the Under 17 category two years in a row. With the help of the ISA Scholarship, Nick will expand his surfing potential by traveling to the North Island of New Zealand to compete in the New Zealand Nationals and the Grom Bash Contest. Nick has gotten enormous support from his father and from the North Wai Board Riders Club over the years and he hopes that in the near future, he will be able to travel overseas to Australia to compete in the Queensland Championship Circuit. Joel Chaves has always placed as much importance on school as he has on surfing. He is eighteen years old in his last year of high school and plans to go to college where he can perfect his English speaking skills and can study to achieve his goal of working in tourism. Joel sees his home country of Nicaragua as a blossoming surf country with a bright future full of surf contests. The ISA Scholarship funds will help Joel surf in international surf contests, as well as assist him with funding his first year of college. Kevin Cortez' interest in surfing sparked when working for Dale Dagger's Surf Tours in Nicaragua. Kassidy, the owner of the camp, has always encouraged him to excel not only at surfing, but also in school. Kevin is currently seventeen years old and is thriving in his third year of high school. His future educational plans are to continue his education at a university level after graduating. Kevin also continues to improve on his surfing every day and will use his scholarship funds to maintain surfboards, pay for schooling supplies, and pay for the bus. Juber Martinez aspires to travel and compete in various international contests in places such as in Costa Rica, Panama, and El Salvador. Juber is eighteen years old and has been surfing for the past four years. He first learned to surf when a traveling surfer gave him a surfboard. Thanks to the help of his part time employer, he has been able to compete in local tournaments in Nicaragua and this year, was able to qualify for the ISA World Junior Surfing Championship. Edwin Bismar Morales Rivas is an ambitious seventeen-year-old surfer. Surf tourism is quickly changing the face of Edwin's community. Therefore, he plans to study tourism at university so he can open his own tourism related business in his home town. When he's not surfing or in school, Edwin can be found volunteering at Project Wave of Optimism, a nonprofit organization in his community that hosts beach cleanups, community surf days, and youth group excursions. Jackson Obando first fell in love with the ocean at nine years old when he started going in the water with a donated body board. Jackson progressed to surfing when a tourist left him an old yellow surfboard. Since then, Jackson has excelled at a national level, advancing the farthest for his country in the ISA World Junior Surfing Championship. Jackson thrives from competing with surfers from other countries and is well on his way to achieving his dream of becoming a professional surfer, having a sponsor, and traveling the world. Luis Angel Arroyo is a two-time ISA Scholarship winner. He began surfing when he was four years old and his passion and drive have allowed him to excel in both surfing and school. Luis travels an hour and a half each day to school and when he returns, he is able to surf and practice for upcoming competitions. Luis plans to use this year's scholarship award to assist in travel funds for competitions, bus fees, school supplies, and surfing equipment. Monica Munn is a two-time ISA Scholarship winner. She first began surfing when she was eleven years old and has continued to do so ever since. With the funding from last year's scholarship, Monica was able to travel to her first ISA World Junior Surfing Championship. She desires to continue to improve her education and surfing and plans on participating in national and international surf contests this year. Selvester Bactad is sixteen years old and continues to place a high value on his education, even though outside factors have prevented him from keeping up with other kids his age. Selvester's mentor, Bjorn Pabon, inspires him to go to school and to surf in his spare time. Selvester recently won the 2013 Southswell Shootout in the Philippines for both the Open Longboard and Open Shortboard division. The ISA Scholarship will not only help alleviate the financial burden of Selvester's education, but it will also help with traveling expenses for upcoming national competitions this year. Gabriel Amaru Rodriquez is a ten year old surfer from Peru. He enjoys surfing because it allows him to forget about everything and focus on improving his performance. Gabriel plans to invest the scholarship money in pursuing his career. He embodies what an ISA Ambassador should be by sustaining good grades and having an overwhelming passion for surfing. Daniela Rosas is ten years old and believes that surfing is her biggest love. Daniela enjoys being in the water and training with her uncles. She enjoys the freedom that each new wave gives her, even if the waves are big Daniela pushes through fear and excels. Daniela plans on using her ISA Scholarship to afford competing in surf contests. Jolari Carreras is a fifteen-year-old honor student from Puerto Rico with aspirations to become the first Puerto Rican surfer to qualify in the ASP Women’s World Championship Tour. Due to Jolari’s economic situation, she has been not been able to afford a coach or travel to the events she needs to in order to one day reach her dream. Jolari was able to travel to Nicaragua in 2013 for the ISA World Junior Surfing Championship and said it was an excellent experience. With the help of the ISA Scholarship, Jolari is going to be able to have more excellent experiences. “I am sure you will hear my name, JOLARI, in the near future,” if you haven't already. 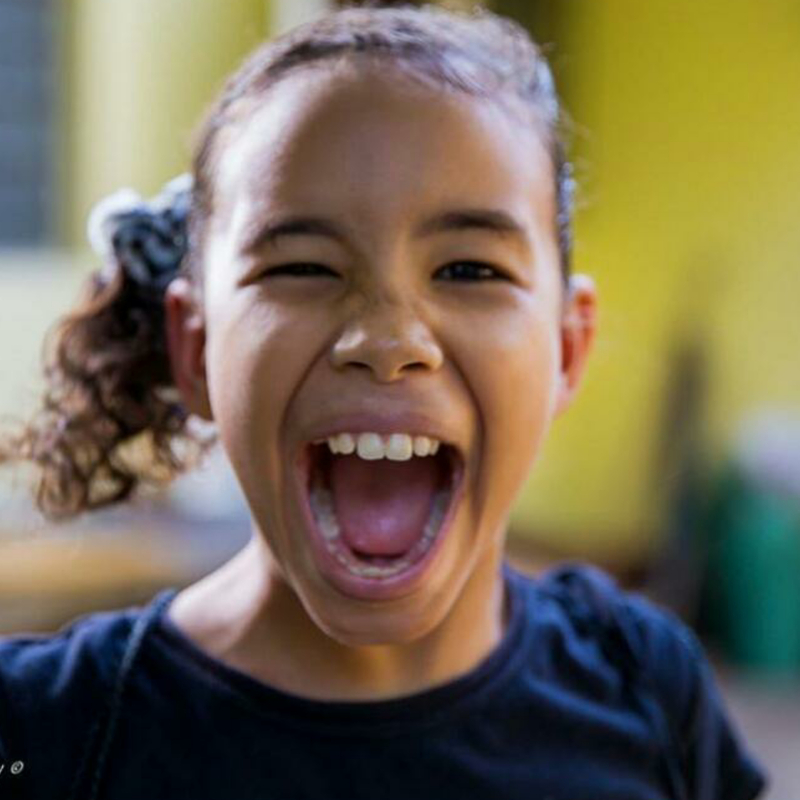 Andrea Martinez is a nine-year-old Puerto Rican with big dreams. Out of all Andrea’s talents she is the best at surfing and she knows that she has what it takes to be a good surfer. Andrea is able to maintain good grades while still making sure to surf everyday. With the help of the ISA Scholarship and Andrea’s determination, we expect to see her achieve her wildest dreams. According to sixteen-year-old Ntando Msibi, “surfing is my school." Orphaned at a young age, Ntando was taken in by the people of Umthombo and was taught how to surf. Ntando didn’t have the privilege to attend a real school until the age of twelve. He was able to learn from his surfing peers as well as his fellow competitors at surfing contests. The people around Ntando have told him that he can be a champion if he surfs in all of the competitions, yet with Ntando’s economic situation, this has been impossible. With the help of the ISA Scholarship Ntando will be able to get one step closer to his dream of being apart of the South African team. Caitlin October is a fourteen-year-old surfer from South Africa. She has recently earned a place to, once again, represent the Western Province Team in the 2013 National Junior Surfing Contest held in Jeffery’s Bay. Unfortunately, Caitlin has been affected by racial segregation by the apartheid system but with the help of Surfing South Africa, she is trying to bridge the racial gap in the surfing community. When Caitlin isn’t surfing, she enjoys scouting activities, dancing, attending church, and spending time with her friends. Kalani de Silva has been surfing since he was three years old. Kalani was born in Argentina, learned to surf in Brazil, and now resides in Fuerteventura, Spain. When Kalani was ten years old, he took his surfing to a new level and started traveling to events. Now fifteen years old, Kalani is determined to achieve his goals so he goes to the gym three times a week, takes swimming lessons twice a week, as well as attends school everyday that he is not traveling for surfing competitions. This year was Kalani’s first year competing in ASP Pro Junior events in Northern Spain. He hopes in the coming year to compete in all of the Pro Junior contests throughout Europe and to compete in some of the WQS events in the Canary Islands. Karelle Popple first began surfing eight years ago in her district of Papeno'o in Tahiti. 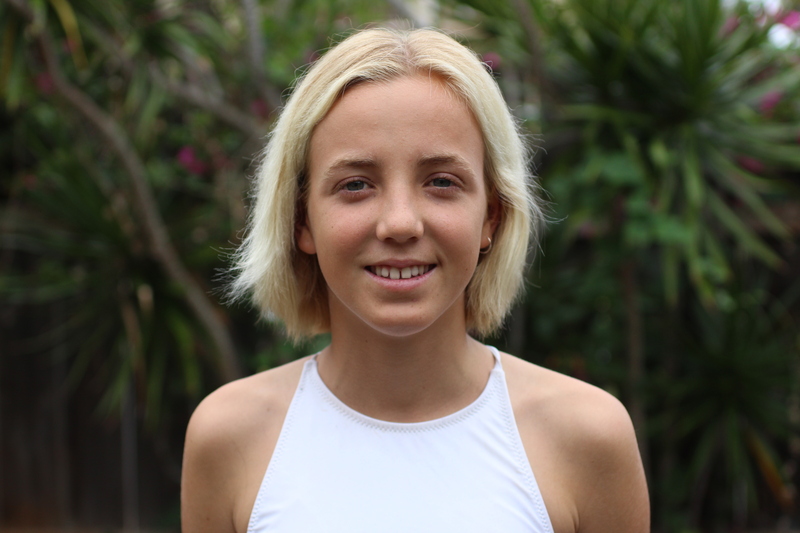 She is now fifteen years old and has competed in every surfing category ranging from Women, Junior, Longboard, StandUp Paddle, Bodyboard, and Kneeboard. She idolizes fellow Tahitian, Michel Bourez, and desires to represent her country as well as becoming the first Tahitian recognized among the best women surfers. Despite her busy surfing schedule, Karelle remains very passionate about her studies. She wants to prove to the whole world that Tahiti has great surfing potential which needs to be developed and recognized internationally. Peckett William is very enthusiastic about competing internationally. In years past he has competed in two of the ISA World Junior Surfing Championships. Peckett is sixteen years old and desires to continue to expand his surfing potential by traveling from Tahiti to places all over the world. Tuna Yigit Konukcu is an aspiring nine-year-old surfer. The President of the Turkish American Sports Club says “Tuna, which means “Tuna Fish” is apart of the water life”. Due to Tuna’s financial situation, he has been unable to purchase a board to help improve his surfing. With the help of the ISA, Tuna will be able to purchase a board and set new goals for his surfing career. has been surfing for five years. Nicolas aspires to use the funding from this scholarship to learn English, pay for international surf competitions, buy a surfboard, and improve his education so he can study at a university. Liam Taylor began surfing at the age of ten while on vacation in Queensland, Australia. Currently, Liam attends Kings College in Reedy Creek and every chance he gets he is surfing. When Liam gets older he would ultimately like to become a professional surfer “just like Mick Fanning”, but Liam is also interested in a career in the Navy protecting his country. Caelum Blandford had always watched and admired his dad and step dad surfing. At the age of six, Caelum picked up the sport and ever since then his passion for it has and continues to grow. When Caelum grows up he isn’t exactly sure what he wants to do but he knows “for sure it has to involve the ocean.” Aside from surfing, Caelum likes to help those in need by participating in a cross country run for the Breast Cancer Charity, as well as a local Christian Surfing event for handicapped kids. With the encouragement of her father and the beautiful waves in her hometown, Javiera Veliz, was drawn to surfing at a young age. Javiera’s achievements in surfing are not only because of her physical skills but also her remarkable responsibility, discipline and perseverance. When Javiera grows up she would like to continue to surf as well as travel and learn about new waves. Growing up in a surf town, Esteban Josue Fernandez Matamoros, was drawn to surfing. When Esteban was eight years old his mother allowed him to start surfing and ever since that that is all he can think about. Esteban strives to become a professional surfer as well as a surf instructor when he grows up. When there aren’t waves for Esteban to surf, he enjoys spending his time playing soccer, riding his bike, or watching surf videos. Jyothi M. Bangera always puts her family first. Jyothi is new to the sport of surfing and has only been surfing since January of 2012. Surfing to Jyothi is more than just a hobby, but to her it is a representation of a bright future for herself and her family. When Jyothi grows up she would like to become a better surfer so she can represent and help save her country of India. Samuel Marabici strives to become a more complete athlete. When there aren’t waves for Samuel to surf, he is either studying or staying active by windsurfing, skim boarding, or skateboarding. Samuel believes that in order to achieve his goal of becoming more complete athlete he not only has to be good at surfing but also needs to learn to speak English and obtain a proper education. Javaun Brown has always admired the older boys and their surfing skills. When Javaun was nine years old he taught himself to surf. Surfing is just one of Javaun’s hobbies. He also participates in football, cricket, and cadet. When Javaun grows up he would like to be a professional surfer as well as a soldier or a mechanical engineer. Nick Robinson is a student at Donald Quarry High School and his favorite subjects are Biology and Mathematics. Nick is a part of a very supportive family and whenever he can he likes to spend time with his family, especially at the beach. When Nick grows up he would like to become a Physical Education Teacher so he can continue to take part in sports as well as work with children. When Paswayne Douglas was just four years old he learned to surf. When Paswayne isn’t at school studying his favorite subject of mathematics he is surfing with his idol, the man who taught him to surf. In the future Paswayne hopes to become a soldier so he can protect his country. Armani Green saw the joy and happiness that surfing brought to surfers, so at the age of ten he decided to join in on the fun. Ever since that day, Armani hasn’t been able to get enough surfing. He loves “the feeling of gliding across the water.” Armani would love to become a professional surfer and travel the world making money doing what he loves to do. He also aspires to be a doctor so he will be able to help to keep people healthy and safe. Carlos Dominguez Cervantes strives to be a professional surfer, but also understands how important his education is. Carlos is very family oriented and strives to help them in any way he can. Even with his family on his mind, Carlos still makes time to surf and go to school. Phillip Seidler's father taught him to surf when he was five years old in the warm waters of South Africa. When Phillip isn’t surfing he is competing on the Namibian swimming team or in open water swims. Phillip considers the ocean his playground, even though the waters and weather in Namibia aren’t the best. He is constantly being push by himself, as well as his friends and family, to further his limits to surf bigger and harder waves. Dayna Story has been surfing for fun since she was ten years old and joined the competitive circuit when she was eleven. Other than surfing, Dayna excels in school in the subjects of Music and English. Every night she either plays the piano, guitar, or sings as well as keeping up with her other studies. Dayna isn’t sure what she wants to do when she grows up but she would ultimately like to continue to pursue her passion for surfing. Waretini Wano from the age of four has had the “surfing bug”. He shares this hobby not only with his friends but also his family. Waretini’s family encourages him to “live the dream” and “be what you dream to be”. This year Waretini has been chosen to be the perfect/leader for his high school and has also been selected for the NZ Junior National Team. In the future Waretini hopes to become a great surfing like many of his idols and also to teach others to surf. Waretini is very thankful for the positive role models in his life and would like to be that for children who aren't as fortunate as he has been. Luis Angel Arroyo started surfing when he was four years old. His passion and talent has earned him a spot on many podiums as well as a position on a surfing team for two years. When Luis isn’t surfing he is focusing his education. It is important to Luis to keep a balance between surfing and school. Monica Munn has a passion for competing. She began surfing when she was eleven years old and hopes to continue to do so in the future. When Monica isn’t surfing she is going to school. She has always enjoyed reading and sports. Monica’s main priorities are her education and her surfing. Estephani Tello has been surfing since she was eleven years old and has been participating professionally since 2009. When Estephani grows up she would like to become a world champion surfer, like her idol, Sofia Mulanovich. Estephani would also like to travel the world and learn about other countries, as well as work on her English. She also hopes to further her education with a degree in Economics. Nikita Avdeev has been surfing since he was six years old. The day after his first surf lesson he told him mom that he “was born to ride the waves”. Nikita was invited to the Russian Surf Contest in 2011, and won first place in the junior category. When Nikita isn’t surfing he is either at school, doing homework, skateboarding, or playing chess. Nikita hopes to become a surfing world champion when he grows up. In the future he also would like to further the development of the surfing, skating and chess industries in his home country of Russia. Simo Mkhize has been surfing since he was eight years old. He won his first surf competition in Durban at the age of eleven. In 2011, which Simo claims to be his best year ever, he had a big year in surfing. Some of his surfing accomplishments in 2011 were his selection as a reserve for the National Junior Team and being chosen for The South African Junior Invitational Team. When Simo isn’t surfing he is attended school and hopes to someday become a lawyer. Brandon Benjamin’s passion for surfing began at the age of ten. Brandon is a very dedicated and hardworking surfer. He is out surfing any chance he gets and is always “the first one in and the last one out”. Brandon started surfing competitively when he was eleven and a year later won an U16 event which gave him the confidence he needed to continue to succeed. His dream is to become a World Champion surfer and ultimately give back to his community by teaching others how to surf. Colby Stanley is one busy surfer. This year he qualified for the Spanish National Final, in Asturias and also competed in the VOLCOM OFM where he earned himself an invite to next year’s competition. When Colby isn’t surfing, he is studying, at the skate park, watching surfing videos, or listening to music. In the future Colby would like to be a physical education teacher or a graphic designer. At a young age, Melodie Bhony Traynor and her family moved to Fuerteventura from Ireland because of the sunshine and beautiful weather. Melodie has been surfing for about four years now, but within the last two years she has taken her surfing and her training to another level. Melodie claims that she always challenges herself in all ways. Surfing isn’t Melodie’s only hobby, she also plays guitar and composes her own songs. When she grows up she would like to be a professional surfer and participate in the ASP. Elton John was given the opportunity two years ago to take surfing lessons on the weekends and ever since then surfing is all he wants to do. Elton is currently a member of the Junior Surfing Group of Trinidad and Tobago. When Elton isn’t surfing he enjoys hunting with his brothers, going to school and helping out at home. In the future Elton hopes to become a policeman so he can help and stop some of the problems that are affecting his village. Jyiell Lewis always admired his older brother and his surfing abilities. Jyiell secretly started surfing at the age of seven but once his brother found out, Jyiell was encouraged to follow his dream. His dream is to traveling and surf the world. Jyiell always makes sure that whatever hardships are thrown his way, he will never give up without a fight. In the future Jyiell would like to teach younger children how to surf and allow them to have better opportunities in life. Elenna (Lulu) Erkeneff has been surfing for eleven years and has successfully found a way to create balance in her life between school, friends, family, and competitive surfing. She has competed in both long boarding and short boarding competitions. Currently, Elena is focusing on become a better competitor and learning to ride any kind of surfboard. When Elenna isn’t surfing she is focusing on her studies, spending time with her friends and family, or helping out with the Surfrider Foundation. With Elenna’s plans to further her education her fascination with the ocean has driven her to want pursue a degree in environmental science or marine biology. Francisco Morosini’s main priorities are surfing and school. Francisco hopes to continue to do well in surfing and in his studies. His surfing dreams this year are to participate in WINGS and hopefully place high enough to participate, again, in the ISA World Junior Championships. Tobias Ortells has been surfing as much as he can ever since a family friend introduced him to the sport when he was nine years old. When Tobias grows up he would like to continue his education and travel the world. His surfing dreams include becoming a Latin surf champion, an Argentinean champion, and to be in the Top 100 WQS. Jack Murray has loved the sport since the first day his father took him surfing. His favorite wave is Uluwata but his dream is to surf at Desert Point, Lombok. When Jack isn’t surfing he is attending school, skateboarding or snow skiing (season permitting). Kelly Norris has been surfing since the age of seven when his family was on holiday and his dad pushed him onto the board. Ever since that day he has loved it. Kelly took his passion for surfing to the competitive circuit when he was eleven years old. When Kelly isn’t surfing he is staying active by skating, wakeboarding, and playing tennis. Kelly’s dream as a surfer is to be on the world tour and be in the top 10. Chelsea Roett started surfing at the age of four on her bodyboard. She would compete with her friends for who could stand and ride the longest wave, and has been surfing ever since.In 2005, Chelsea took her surfing to a new level and started competing. That year she made the Barbados Junior Team, and it inspired her to become a better surfer by perfecting her maneuvers. When Chelsea isn’t surfing she enjoys spending time with her friends and family, as well as interior decorating and playing the drums. When Irons Burgos was six years old he learned to surf at his father’s surf school. Irons’ surfing dream are to become a professional surfer and to be the first Ecuadorian World Champion in the ISA World Junior Surfing Championship and in the ASP Championships. He would like to one day be able to go to and surf at all the famous beaches in the world such as: Hawaii, California, South Africa, and France. William Dansey’s passion for surfing started from the first wave he stood up on in Taunovo. From that day he has been surfing anywhere and anything he can. His surfing dreams include opening the first ISA certified surf school in Fiji, as well as owning a surf shop. When William isn’t surfing he is partaking in one of his many other hobbies: basketball, skating, singing, playing guitar, fire dancing, drawing and teaching his pastor’s son how to play rugby. Louis Baltazar Fears started surfing because his Dad surfed and has been hooked ever since. His surfing dream is to be a world champion and surf in Mexico. Louis’ favorite waves are Hossegor waves because they can either be really good barrels or long waves. When Louis isn’t surfing, he is either skating or skiing. Jaide Lowe’s father surfs and shared his passion for the sport with his daughter. Jaide has had many accomplishments since she started competing. She finished 1st place in numerous events from Volcom VQS, Ripcurl Grom Search, and the National Trust series. Jaide also made the quarterfinals in the Ripcurl Pro Juniors Euro Finals. Jaide dreams to one day surf in Indonesia. When Jaide isn’t surfing she enjoys swimming, skateboarding, as well as hanging out and watching movies with her sisters. Mario Vega has been surfing competitively since he was ten years old. His surfing dreams are to be a world renowned surfer. Mario is a part of the Guatemala Surfing Association where he has had the opportunity to travel to places both inside and outside of his home country of Guatemala. Mario’s other hobbies include running, which gives him energy, and playing football. Gai Sato wanted to be like his brother, and when he saw him getting on a surf board he wanted to start surfing. He realized his passion for surfing when he was eight years old. Since then the best result that Gai has achieved in surfing competitions was fourth in the Haleiwa International Open in 2011. Gia’s surfing goals include becoming a grand champion in JPSA (Japan Pro Surfing Association) as well as surfing in Mentawai, Indonesia. Minato Takahashi admiration for his father was what drove him to first start bodyboarding. His passion moved into the realm of surfing and ever since then he has been learning to surf at a surf school. Minato would like to become a surfer who people enjoy watching surf. Ever since Minato watched the final of ASP Quiksilver Pro 2011 in Ericeira Portugal, this surf spot has been on his wish list. Curiosity is what drew Aaron Ernesto Gomez Selva to the sport of surfing. Aaron hopes that in the future he can become a nationally recognized surfer, and also pursue his studies to become someone who can help make his community better. He would ultimately like to have a successful, professional career in the administration of hotel and tourism enterprises. Aaron also dreams to one day surf the beaches of San Diego, California. Milton Bladimri Aguilar Quintanilla was drawn to the sport of surfing at the age of twelve when he was mesmerized by the other surfers. Milton enjoys surfing so much, but getting a hold of board is very difficult. He claims that when the waves are good and you don’t have a board, it is horrible. Unfortunately, where Milton lives there are very little resources for his surfing career. Milton hopes to better his families’ economic situation by studying hospitality and tourism. When Milton isn’t surfing, he enjoys going to the river, playing soccer, fishing and helping out his parents. Juninho Urica followed in his older brother’s footsteps and picked up the sport of surfing. He started surfing at the age of five, but decided when he was thirteen to take his career to a new level and compete in more national and international events. Juninho’s surfing dreams include being on the WTC and surfing the perfect tubes of Indonesia. Juninho understands how difficult it will be to achieve his dreams, but he believes that with support “everything is possible”. Jorge Luis Guiterrez’s love for surfing started out when his friend bought him a boogie board. Ever since that day Jorge’s daily routine includes skating to the beach to check out the waves and then surfing until he has to attend school in the afternoons. Jorge’s surfing dream is to travel the world in search of the best waves. One of the surf spots that Jorge would like to surf is Chicama, Peru. When Niki Luksic Druskovic started surfing at the age of eleven, she was the youngest surfer in Slovenia. After finishing high school, Niki plans on studying medicine, preferably near the ocean so she can still surf. Niki would like for her country, as well as the surfers from Slovenia, to be better known throughout the world. The waves that Niki dreams to surf are all around the world. She would like to take a world surf trip that would include Australia, New Zealand, Indonesia, Hawaii and South America. With the support and help from Robin De Kock of Surfing South Africa, Brandon Benjamin understood that if he worked hard enough, his hobby of surfing could become a career. Brandon aspires to one day become World Champion and starting a community surfing organization to help and teach surfing to underprivileged kids. When Brandon isn’t surfing, he enjoys cycling, skating, and playing the drums. Marchall Reans started surfing in 2008, and with the support of the J’Bay Surf Club he has been given the opportunity to compete in provincial and national surfing trials and events. Marchall’s surfing dreams are to become a professional surfer and travel the world to compete at the best surfing breaks. His dreams outside of surfing are to become a lawyer so he can provide a better life for himself and his family. When Marchall isn’t surfing he likes to skateboard and play soccer with his fellow surf club members. Nahir Aylen Manduca has been surfing on and off since he was eight years old. When Nahir was twelve, he started to take his surfing more seriously and began to train as well as compete. Nahir dreams to become the best surfer in the world, as well as work in the field of marine biology and help animals. When Nahir isn’t surfing, he enjoys doing acrobatics with fabrics, skateboarding, diving, fishing, tennis, and many other sports, as well as spending time with his family and friends. Panu Wisetsombat was taught how to surf by his mother, but now the roles have reversed and the student has become the teacher. Panu’s dream is to be able to surf all around the globe at world class surfing destinations, especially Bali and Australia. His highest result in surfing competitions thus far was 1st place in the Rip Curl Grom Search 2010. When Panu isn’t surfing, he is skateboarding, scuba diving, or performing what he calls a fire show for tourists. Mary-Townsend Bourque claims that she was “out of the womb and into the water”. MT has been dragging her father to go surfing with her for as long as she can remember, and is still doing it to this day. In the future MT would like to be a famous singer/song writer and surfer/philanthropist, but if those don’t work out she would like to be a physical therapist. MT would describe herself as a good surfer but her home state of South Carolina doesn’t have the most consistent waves, so she yearns to have the opportunity to travel and compete in places with consistently suitable waves. Maddie Swayne started surfing when she first moved to California at a young age. Currently Maddie is attending college at University of Southern California (USC) and pursuing a degree in Environmental Science. Maddie’s dream is to graduate from USC and ultimately have a career in an industry that is a mixture of her passions for knowledge and surfing. When Maddie isn’t at school she is surfing any free opportunity she gets. If for some reason she can’t go surfing, she enjoys spending time with her friends or being outdoors hiking, backpacking, kayaking or even just laying on the grass. Francisco Morosini has been surfing for fun since the age of five, and started his competitive career when he was just seven years old. He hopes to be able to experience other waves and interact with other surfers all over the world. When Francisco isn’t surfing, he is either at school, playing guitar, swimming, or cooking. His dreams are to be a professional surfer, travel, learn English and Portuguese, and become a chef. Franwil Vento has been surfing since he was eleven years old. Franwil wanted to surf so badly that he sold his bike so he could purchase his first surf board. Surfing is Franwil’s life! He is always in the water, either surfing or making sure that his beach is taken care of, through local beach clean-ups. Franwil has had the opportunity to compete in many local competitions, but his dream is to be able to travel to new places and compete outside of his home country of Venezuela. Despite not having an abundance of resources, Franwil has many goals and big dreams he is striving to achieve in the future. Benjamin de Castro has been surfing since he was eleven years old when he moved to South African from Angola. Benjamin claims to love surfing because he is good at it. He has participated in competitions against the SA National team, as well as the team from Reunion. When Benjamin grows up he would like to own his own surf shop and surf school. Surfing is Roger Vuuanza’s life. He claims that everything he does has something to do with surfing. Roger and his family moved to South Africa from Angola to have a better life. Roger is very thankful for what his mother has done for him and his family, and he would ultimately like to help her out. When Roger grows up he would like to continue his education and study Sports Science. His surfing dreams include participating and doing well in more competitions and to set an example by being a role model for younger surfers. Ana Martina Gainza started surfing because it is a mixture of her two passions: sports and the beach. When Ana isn’t at school or studying English, she is surfing any chance she gets. In the summers Ana works to make money so she can compete in surfing competitions. She has previously participated in the ISA World Junior Surfing Championship that were held in Ecuador and the ISA World Surfing Games that were held in France. When Ana grows up she would like to study more languages and photography. Tobias Ortells and his family both have a shared understanding of his passion for the sea and how happy surfing makes him. Tobias has been surfing for over eight years and despite the cold waters at his local surfing beach, he still tries to suit up and surf any chance he can get. His family is very supportive of his surfing dreams. His father is always there for him at all of his tournaments and workouts, as well as through all the high points and low points that come with competition and life in general. Belko Contreras has been surfing since he was twelve years old. At first he just started with a used board he received as a gift but later developed a passion for long boarding. Belko describes long boarding as a combination of “the classics with the radical”. When Belko realized his passion for long boarding, he dedicated himself to more rigorous training which incorporates practicing yoga, meditation, swimming, weightlifting and much more to help better his surfing overall. Belko aspires to study nutrition and dietetics and eventually work in a hospital setting so he can help people as well as finance his other dreams. Jean Carlos Mendez hasn’t been surfing for very long, but ever since he started he has excelled exponentially. From all of his hard work and dedication, Jean Carlos is now a member of the national circuit. Jean Carlos knows that the probability of becoming the best surfer in the world is very small, so in the future he would like to become a dentist. With the understanding that surfing may not be career path, Jean Carlos will always live with surfing in his heart. Cesar Reyes started pursing his passion for surfing when he was twelve years old. Cesar discovered the sport and instantly fell in love with it the first time he saw a group of surfers surf the waves of San Mateo. He originally started surfing on an old body board but when that broke he was given of an old surf board and began to realize his potential. Since that day Cesar has participated on a Surfing Contest Tour for schools of Manta and he has placed first in all three tournaments. When Cesar grows up he would like to become and Agronomic Engineer and own a farm in the rainforest while protecting the environment. Tassy Swallow has been surfing since she was eight years old and is now sharing her passion with her younger siblings by teaching them to surf. Tassy has received a Sports Leadership qualification so that she can run a project along side with a surf school that will help disadvantaged women from local centers for single parents and victims of domestic violence, and help with young women who were referred as part of a healthy living intuitive. Another honor that Tassy has received is that she has been selected to join the South West Regional Talent Support Programme by the University of Bath. With this honor, not only has her surfing progressed but it has also given her a direction for her future educational goals. Tassy hopes to study psychology at Truro College as well as doing a Sport Excellence diploma. Armani Green has been surfing since he was ten years old. School is very important to Armani so he makes sure to get all of his homework done before he is able to go surfing. When Armani isn’t surfing he plays football (soccer) with his brother and other surfers from the Jamnesia surf club or he is practicing his dance moves. Armani aspires to one day become a doctor. He really enjoys helping people and by being a doctor he feels that he can keep people health and safe. Armani would also like to become a professional surfer so he can travel the world, make money doing what he loves, and be able to represent his country and his sponsors. Ronald Hastings has been surfing since he was seven years old. Ronald dreams of becoming a professional surfer where he is given the opportunity to travel the world and compete with other surfers. If Ronald isn’t able to become a professional surfer he would like to become a soldier so he can help defend and keep his country safe. Naomi Kabayashi rode his first wave on the nose of a surfboard when he was only a year old. Not until he was five years old was he able to ride a short board on his own. Naomi has also been passionate and respectful of the sea. When he was in Kindergarten he received the nickname “the doctor of the sea” because he knew so much about the sea. After every time Naomi surfs, he makes sure to thank and respect the sea so he bows. Ever since Naomi’s first surfing competition, when he was in 5th grade, he decided he is going to be a winner in the future and everyday is continuing to pursue that dream. Hussain is proud to call himself a Maldivian. He was taught by his brother at the age of thirteen how to surf. Even though his country consists of 98% water and attractive surf breaks most teenage and young Maldivian’s participate in land sports. Hussain’s surfing dreams are to become the number one ranked surfer in his country and to win a medal in an international competition. Another dream that Hussain has for his future is to educate the people of his community about surfing by teaching others to surf as well as having other surf related programs visible in his community. Ever since Carlos Cervantes was a young child, he and his family would go down to the beach and watch people surf. It wasn’t until years later that Carlos was able to access a surfboard and begin to explore his passion for surfing. Carlos and his brother try to surf as often as they can but when they are unable to, they stay active by running to the boardwalk or skateboarding. When Carlos grows up, his dream is to own a surf shop with his brother. Before Mahorahora McLeod started surfing two years ago his dream was to become a professional league player, but now he wants to be a professional surfer. Mahorahora is a part of the Taranaki under 15’s Touch and Taranaki Under 14’s league, but enjoys surfing much more and is practicing whenever he gets the chance. When there aren’t any waves to surf Mahorahora is on his skateboard practices his maneuvers. Mahorahora knows that in order to reach his life dreams he must “go the distance to get the rewards”. Jean Carlos Gonzales lives in the small village of Saint Catalina which has the best surfing waves in Panama. Jean Carlos currently holds the 2nd position in the National Circuit of Surfing in the junior category and he also has represented his home country of Panama with high finishes in events such as Bolivarianos of Surfing in Ecuador. With the ISA scholarship Jean Carlos plans on putting the money towards school, tournaments, trainings, trips and to improve his quality of life. Miluska Tello started surfing at the age of 11. She has recently becoming a part of the National Championship of Surfing in the U16 category. Miluska’s surfing dreams are to become a world champion surfer like her idol Sofía Mulanovich. She also aspires to continue her education at a University where she hopes to study Business Administration. During a normal week Miluska has to distribute her time between school, her chores, and surfing but when the weekend comes she spends 100% of her time surfing. Juninho Urcia’s surfing and educational dreams have been furthered with the help of the ISA Scholarship. Not only is Juninho receiving high marks in school and being a role model for the other students but he is also participating at a very competitive level in his surfing career. Some of Juninho’s achievements in 2009 were the National Champion in the Under 14 Division in two competitions and 4th place in the Latin American event Juegos Bolivarianos, Salinas, Ecuador. Juninho aspires to continue to participate in national events as well as start competing in ALAS (Latin American Surfing Association) events to eventually end up competing in the WCT. Mamadou Mbengue was nominated for this scholarship by Fédération Sénégalaise de Surf for his outstanding characteristics such as his respect and his motivation. The ISA scholarship will help Mamadou to improve his grades and excel in surfing and to the top of the podiums in future competitions. Mamadou and the Fédération Sénégalaise are committed and are working in the direction of the ISA motto, “For a Better Surfing Future”. When Papi Makanyane started surfing in 2005 he turned his back on all other sports and focused on “the best sport in the world”. Last year Papi was invited to the SA trials for the SA Junior Team and despite not making it he tried he knows that he tried his hardest. Papi’s surfing dream is to become a pro surfer. He also hopes to continue his education and go to college to study sports marketing. Papi is “determined to be the best that he can be and never give up”. Jarred Veldhuis has been surfing since his first wave at the age of six. With the help and support of Jarred’s parents he has become a PST competitor and started to surf the SSA circuit with all the local contests such as Billabongs, Quicksilver KOG, Volkom and Ripcurl. Jarred has made the National Team and is very honored and proud to represent his country in the Quicksilver ISA World Junior Championships in New Zealand in 2010. His future goal is to become a professional surfer and surf the WQS and hopefully qualify for the WCT. As Jarred is working towards that goal he is furthering his education and would ultimately like to become a professional chef. Donghoon Kim started surfing in 2008 when he and some of his friends decided to sign up for the afterschool activity. Until that date Donghoon hadn’t found any other outdoor activities he enjoyed now he spends more time outside “for a ride in the sea”. Donghoon and his mother agree that having something that he is passionate about is very important because it keeps him focused on life. Donghoon’s dream is to someday become the best Korean surfer. When Colby Stanley was around eight years old he developed his passion for surfing while partaking in a summer course. That first summer he spent every day in the water and traveled to a new beach every morning. After that summer Colby was hooked. When Colby and his friends aren’t able to surf due to lack of waves, they are staying active by playing tennis or football. In the future Colby hopes to continue his education and attain a degree in Sports. Ian Ross Schweden started surfing when he was eight years old. He really enjoys partaking in the contests and surfing the big waves. Ian is now trying to expand his surfing knowledge by obtaining a better understanding of the different branches of surfing. In the future Ian would like to have a career on the sea. Ian is deciding between getting his captain license so he can sail boats around the Caribbean and taking the necessary steps to receive his helicopter license. Marissa Shaw has always seen the beach as her playground but didn’t realize her hidden talent for surfing until six years ago. Ever since that day Marissa has continued to improve her new found passion for surfing and has made the finals in NSSA Nationals, anchoring for her high school surf team as well as getting close to making the Pac Sun USA Surf Team. Other than surfing, Marissa plans to continue her education and pursue another one of her hobbies, emergency medicine. When Marissa isn’t surfing she is focusing on school or working one of her two jobs as a State beach lifeguard and a City pool lifeguard. The water truly is Marissa’s playground. Nicolas Bulla was draw to standing on a board, to create equilibrium and slide with the wave when he was thirteen years old. Leading up to Nicolas’s first surfing experience he tried other sports but none seemed to spark his interest like surfing did. Nicolas claims that when he stood up on his first wave he “had found what was mine, surfing”. In the future Nicolas intends to become a professional surfer and study photography and art.